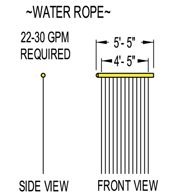 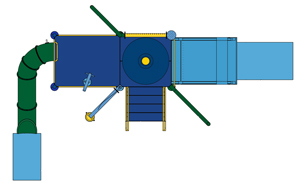 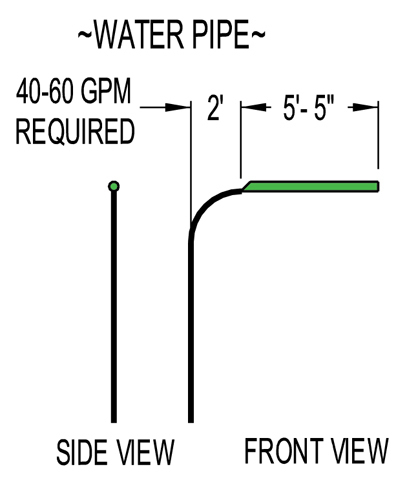 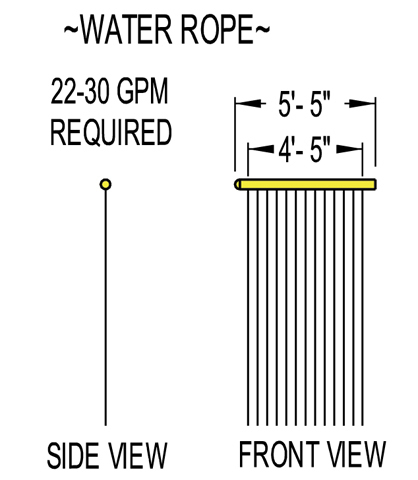 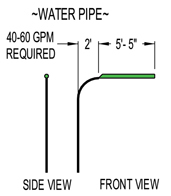 Dimensions: 20' 6-1/2" x 15' 7"
Dimensions: 30' 0" x 23' 5"
Dimensions: 25' 6" x 20' 2"
Dimensions: 30' 0" x 18' 8"
Dimensions: 24' 2" x 21' 11"
Create your own Unique Water Play Structure ! 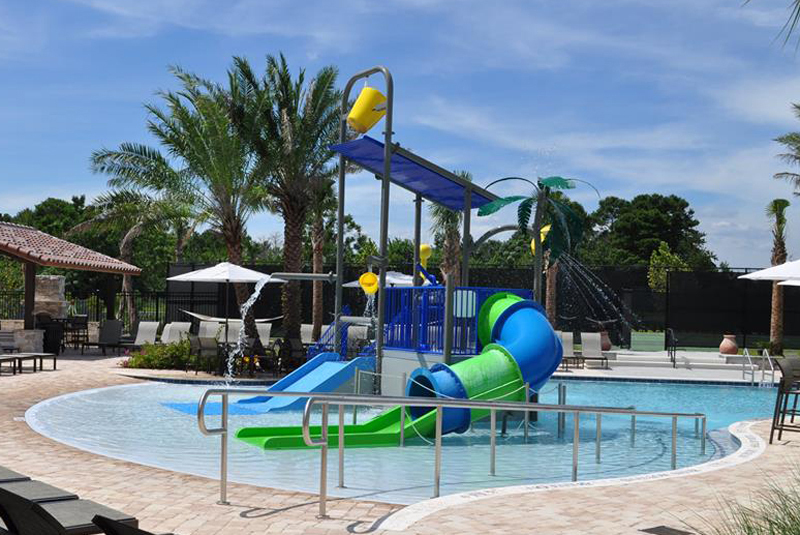 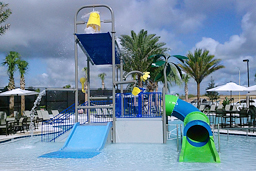 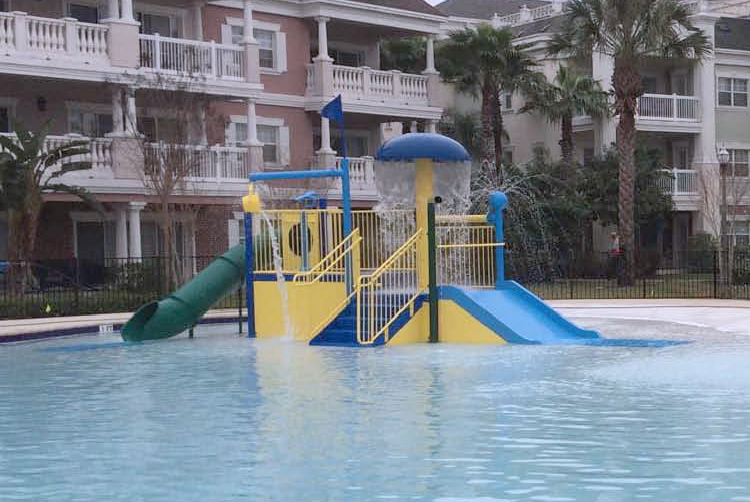 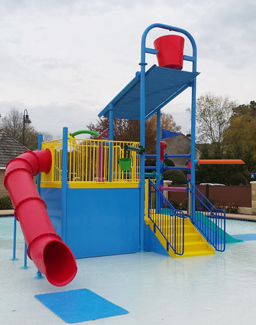 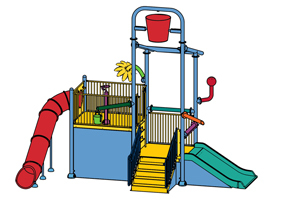 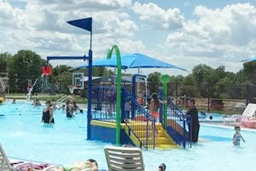 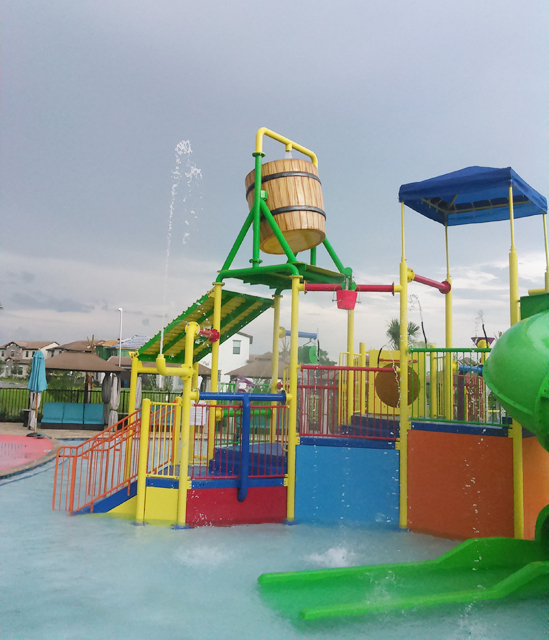 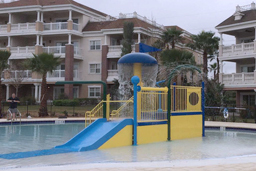 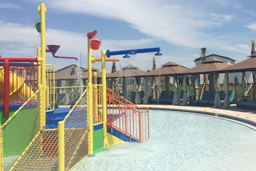 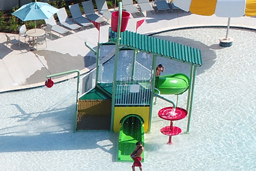 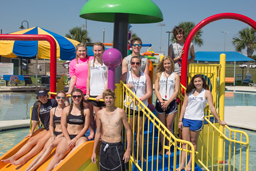 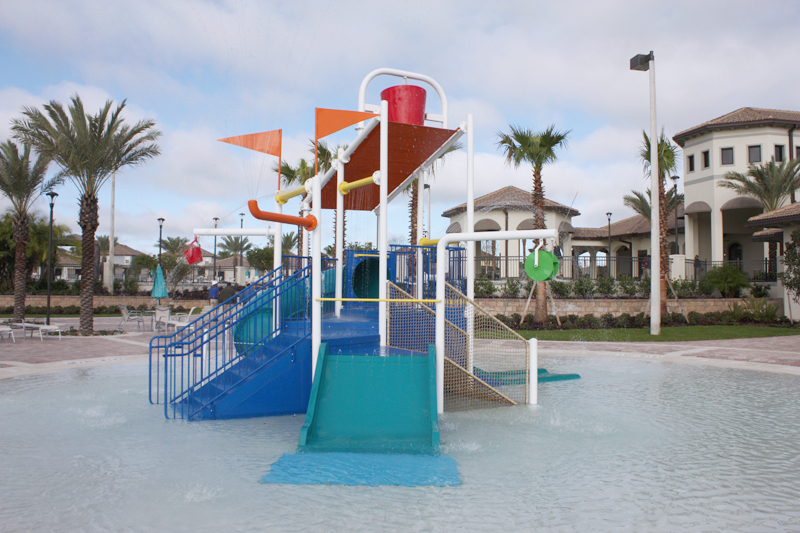 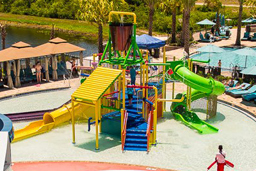 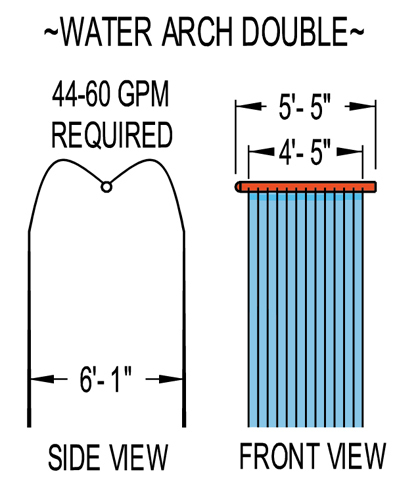 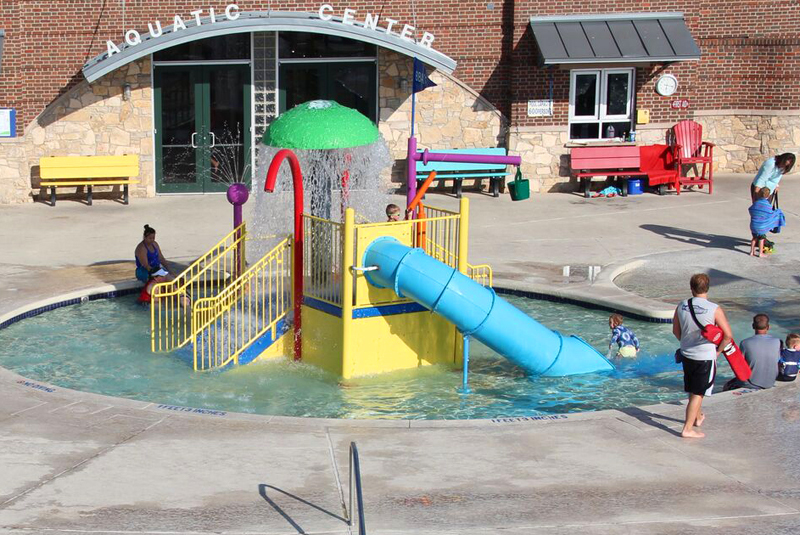 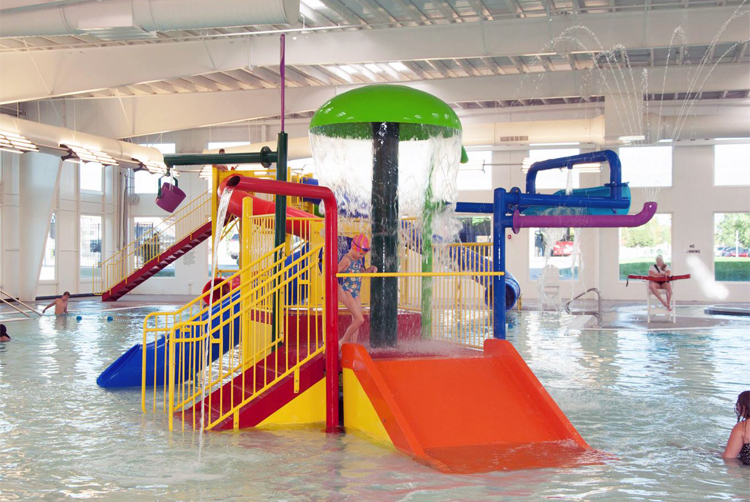 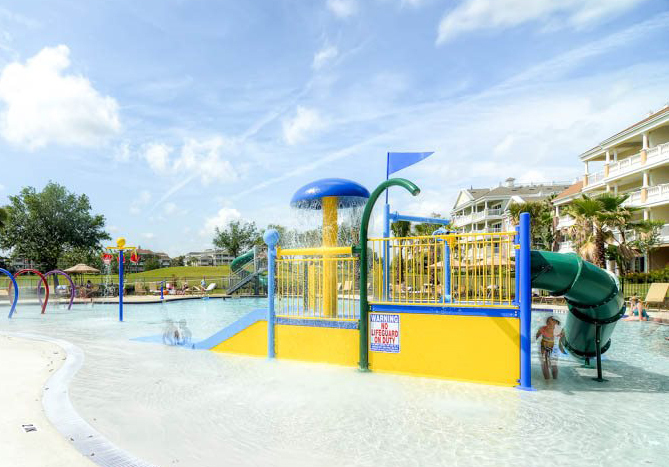 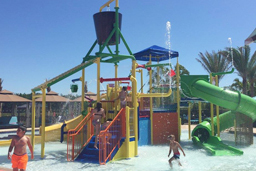 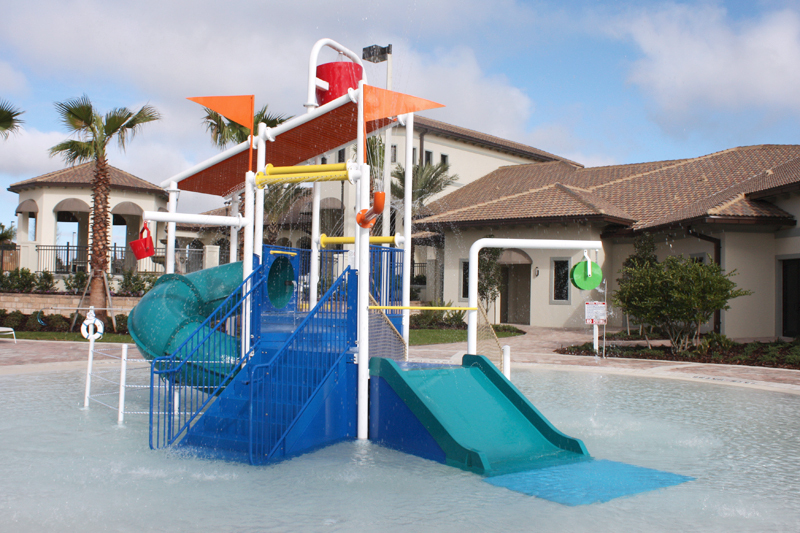 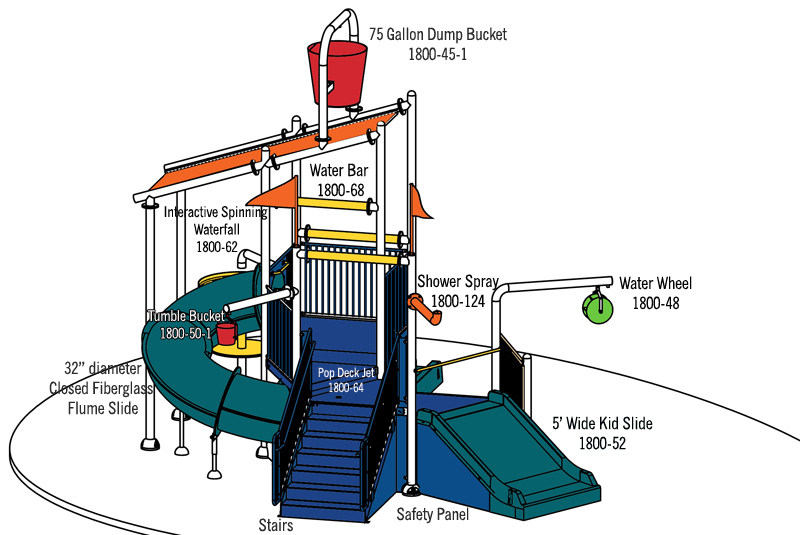 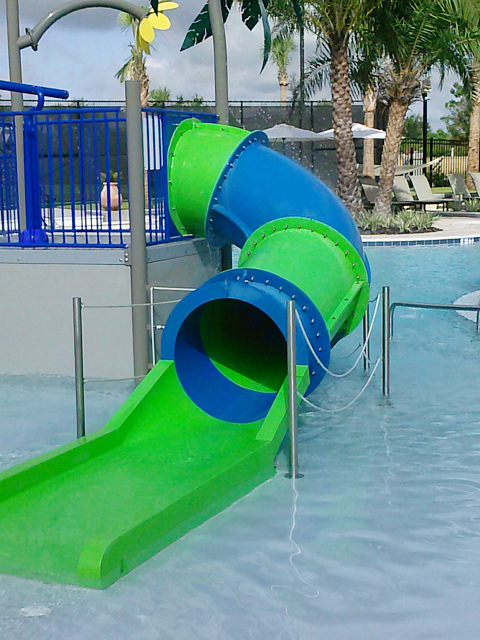 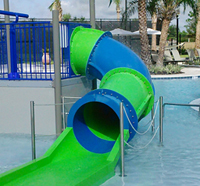 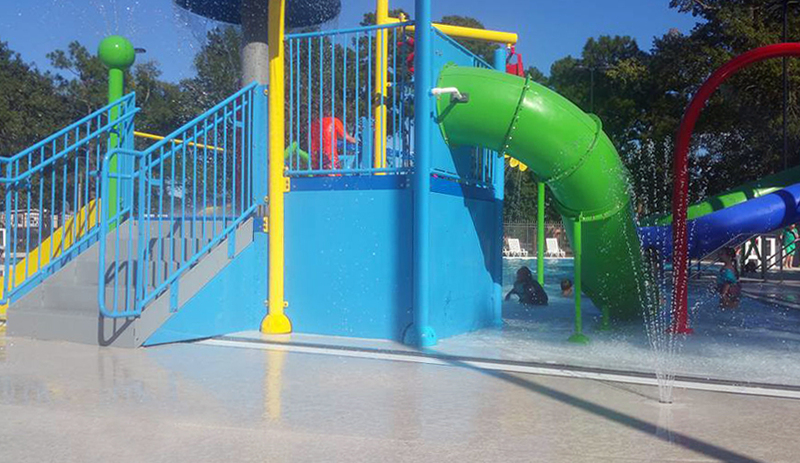 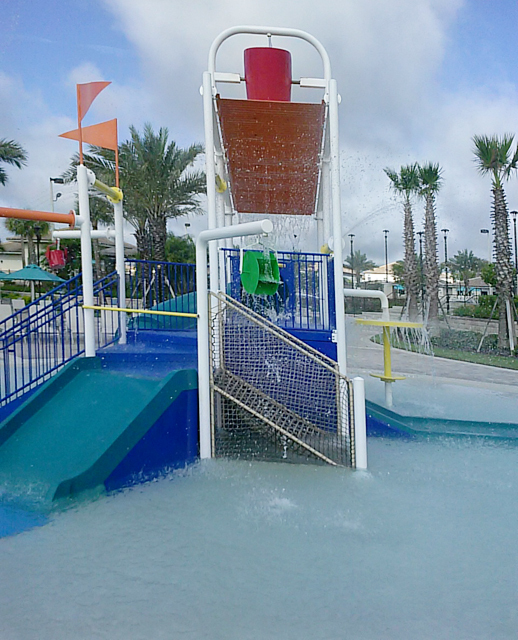 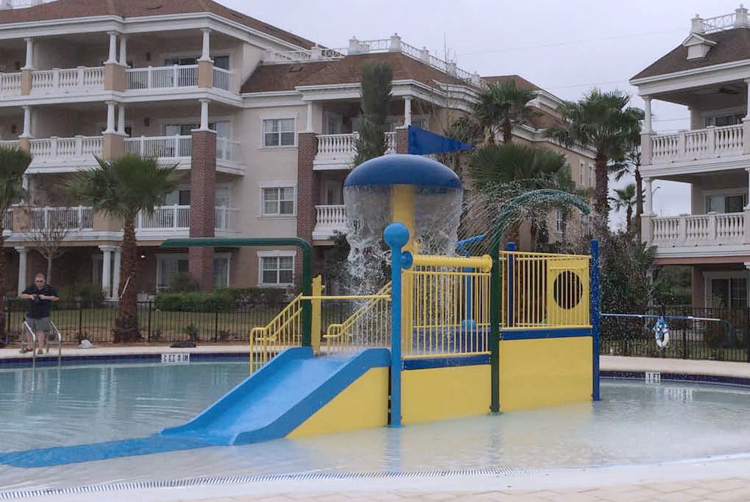 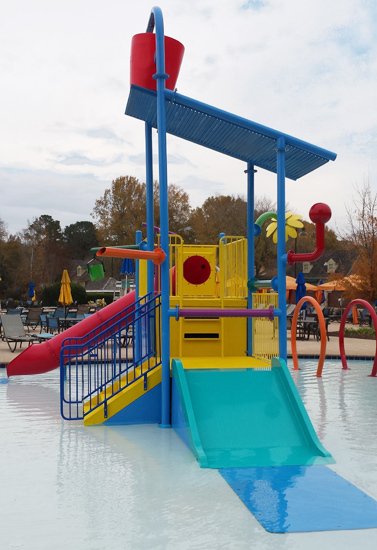 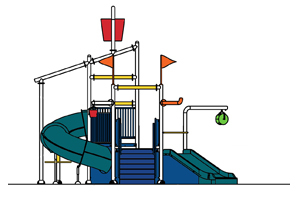 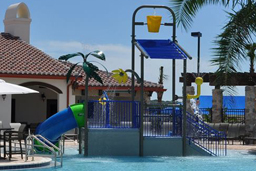 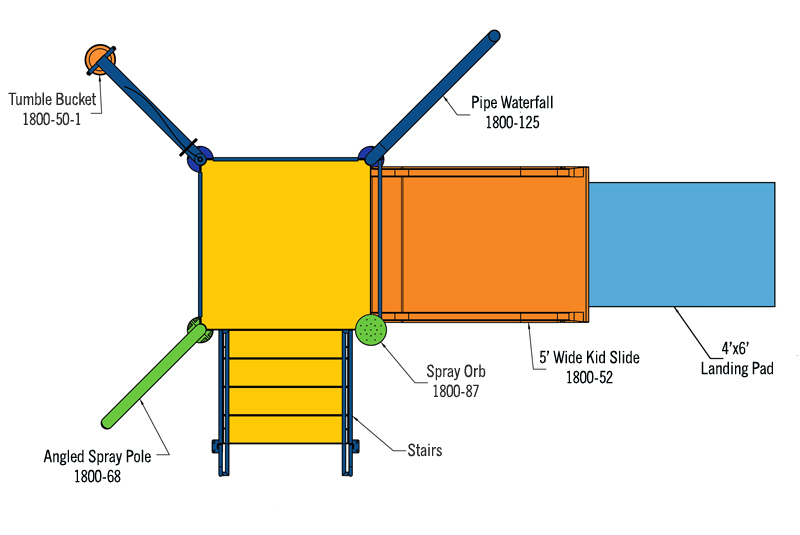 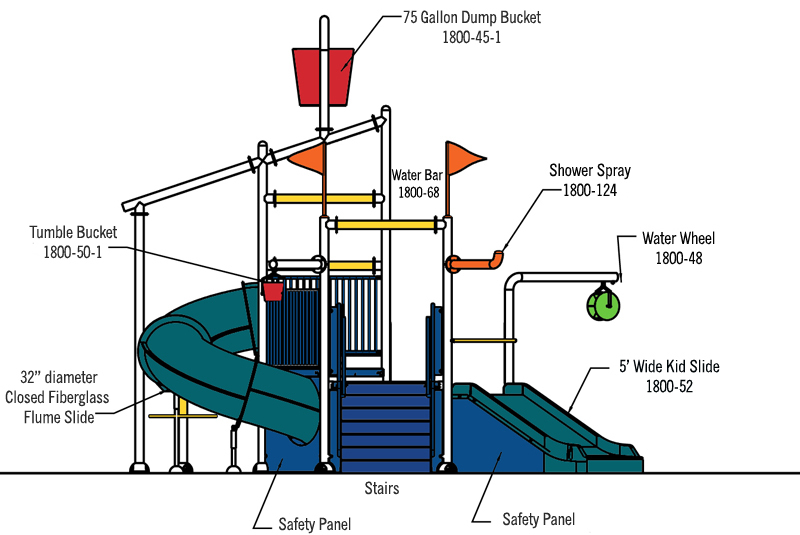 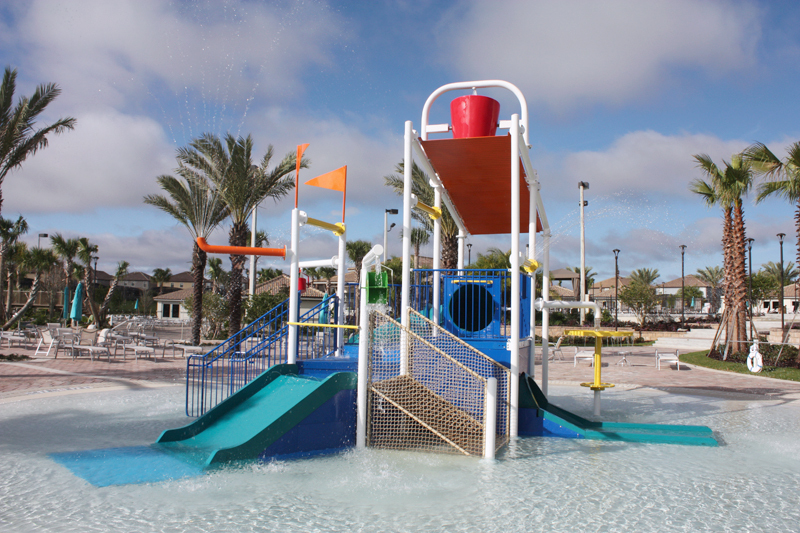 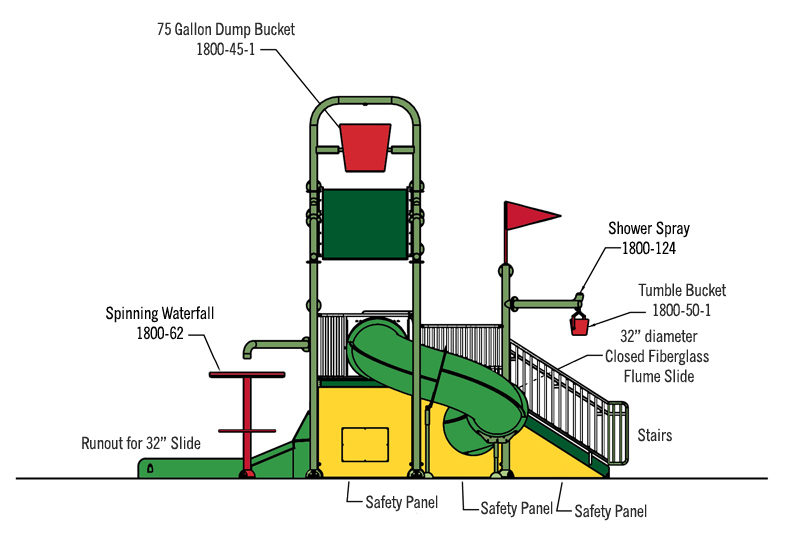 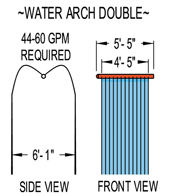 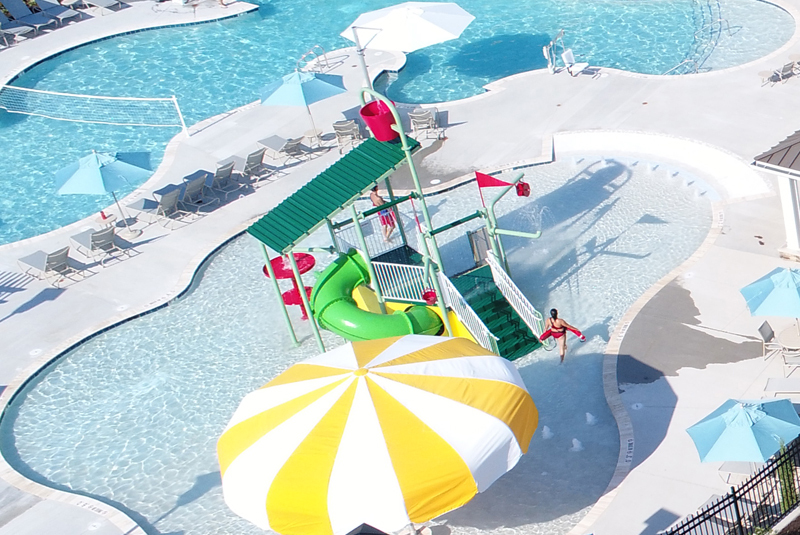 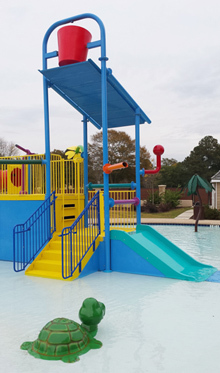 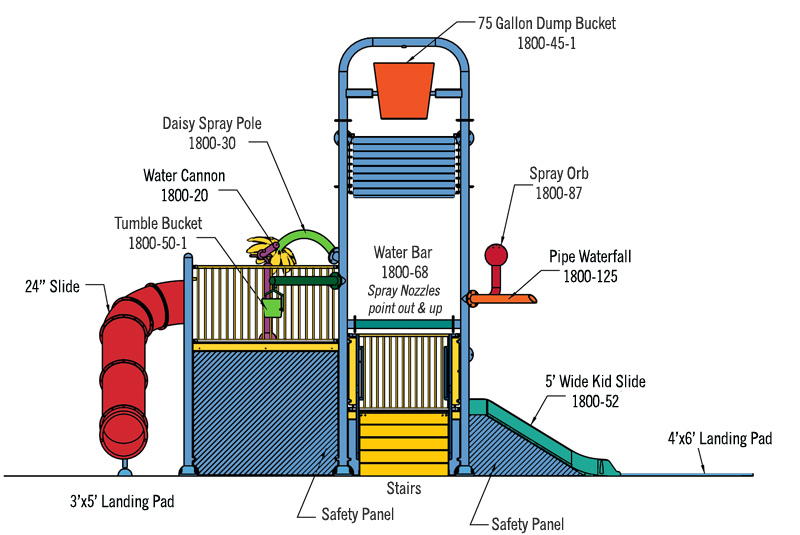 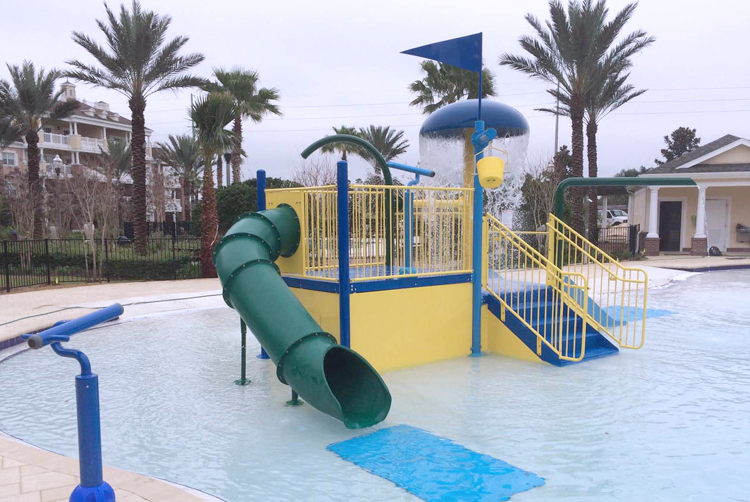 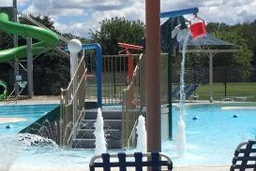 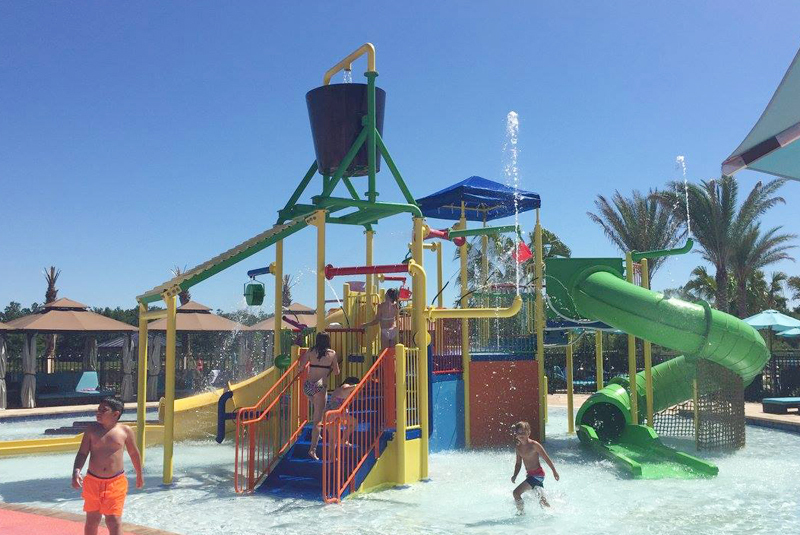 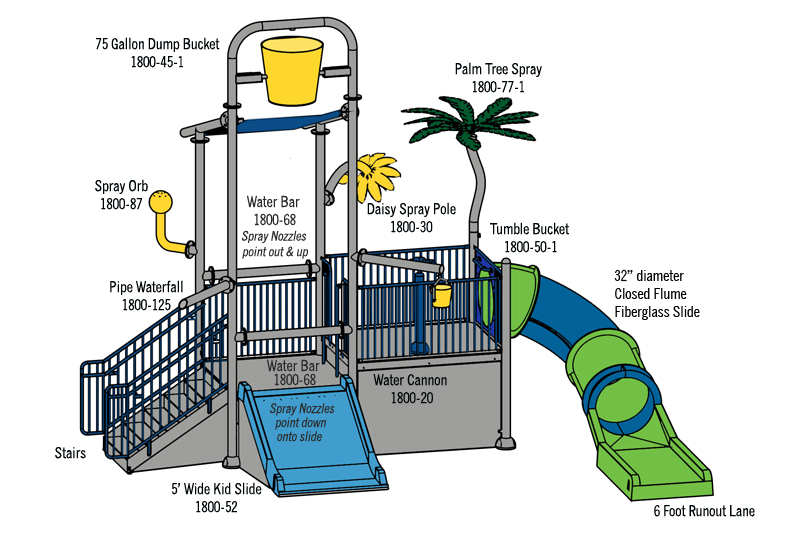 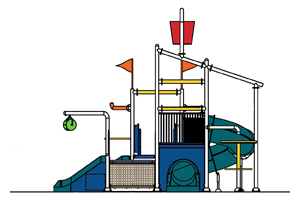 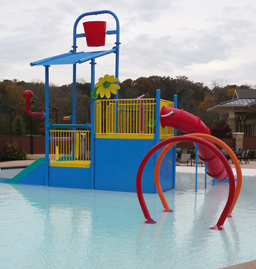 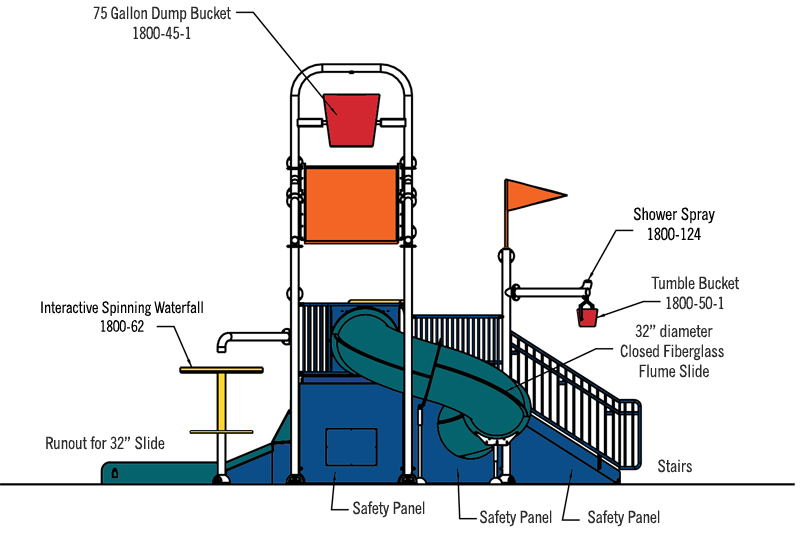 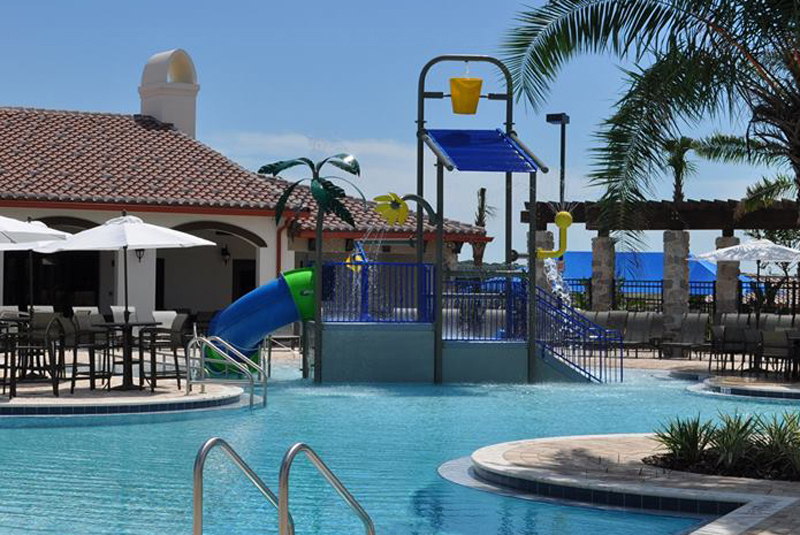 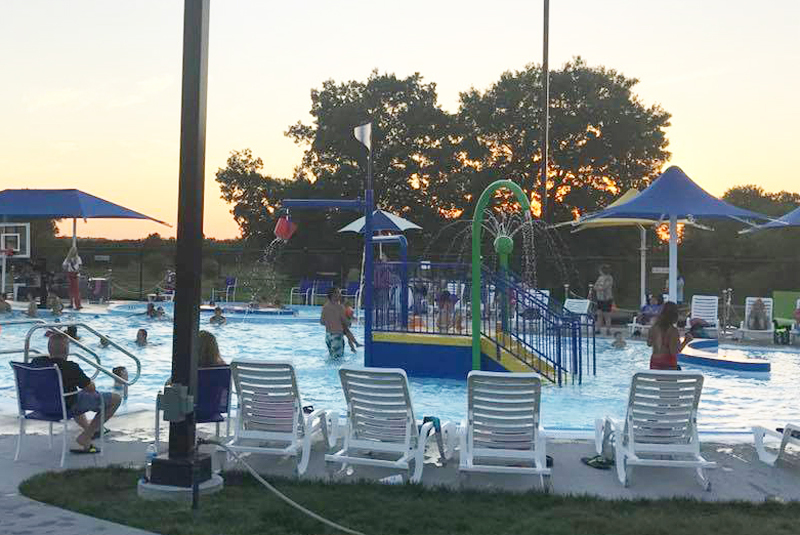 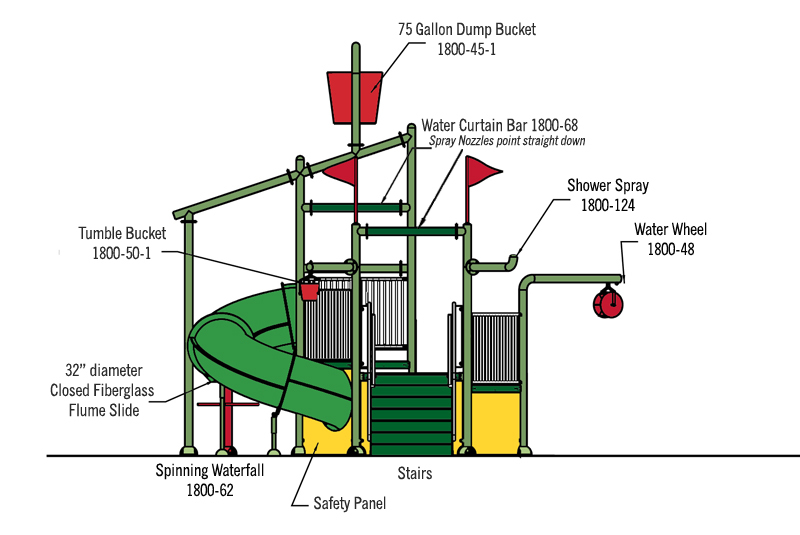 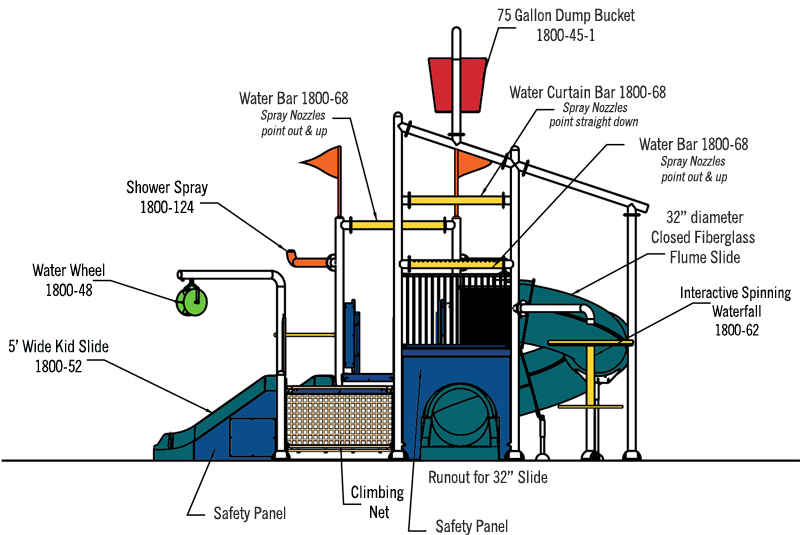 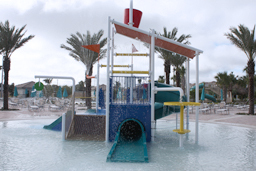 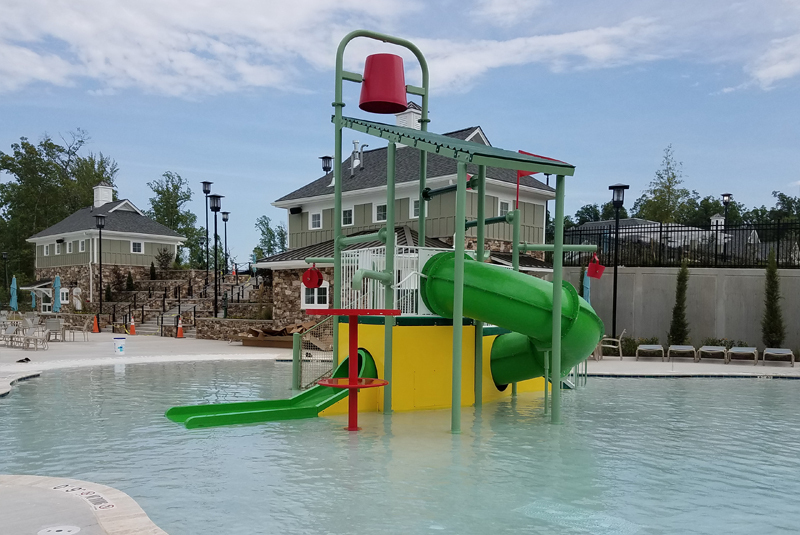 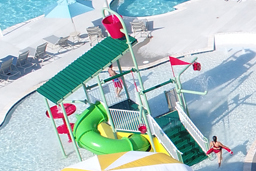 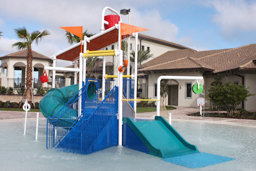 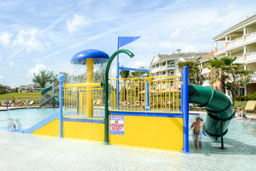 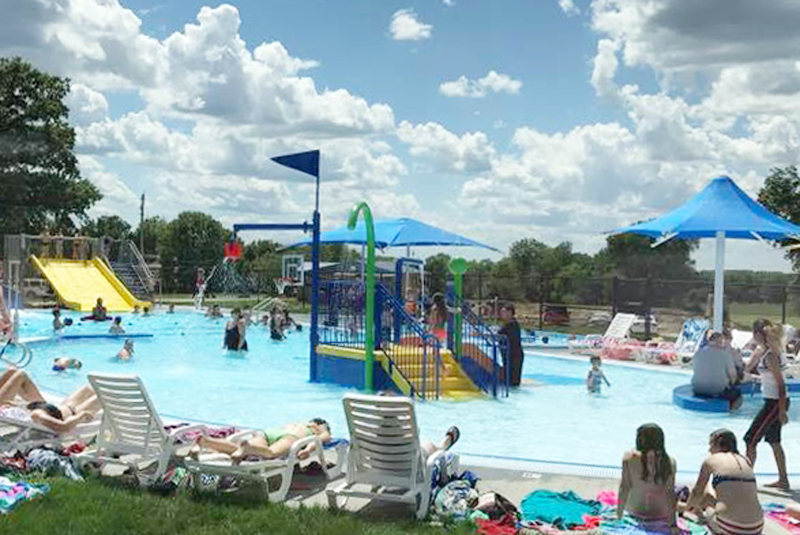 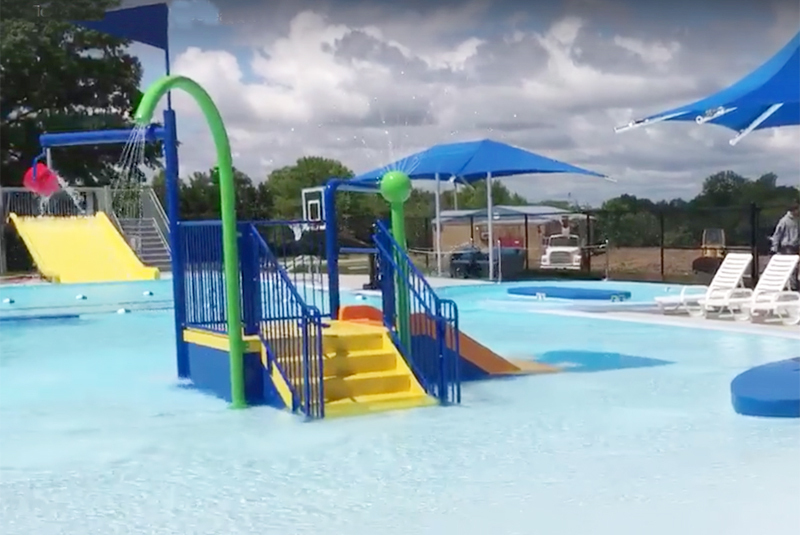 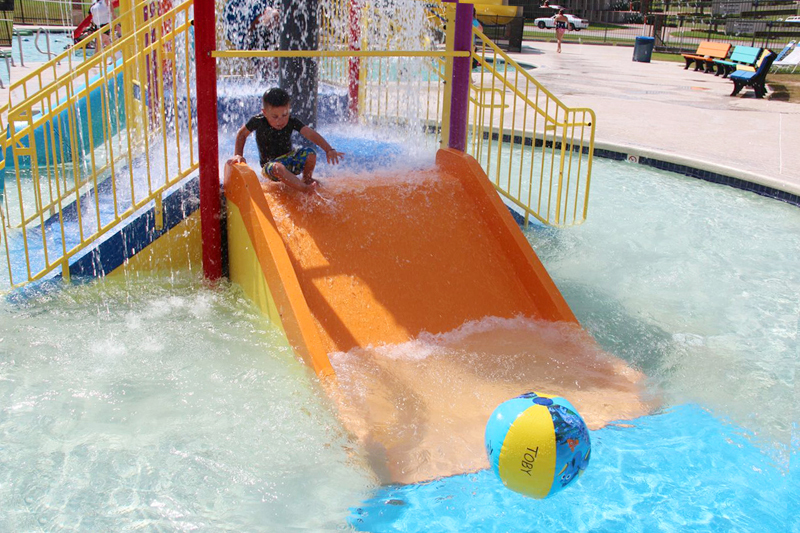 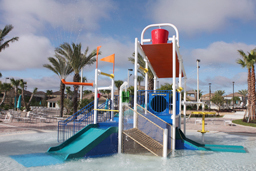 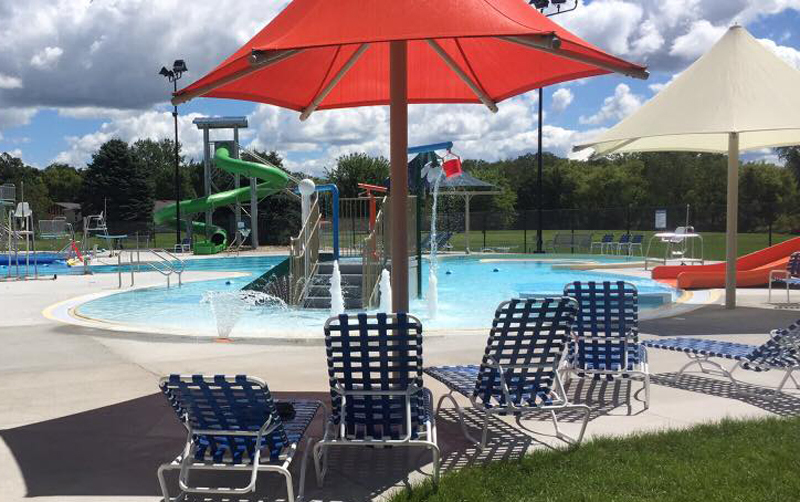 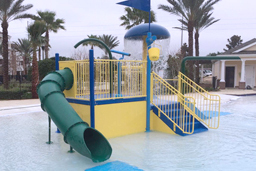 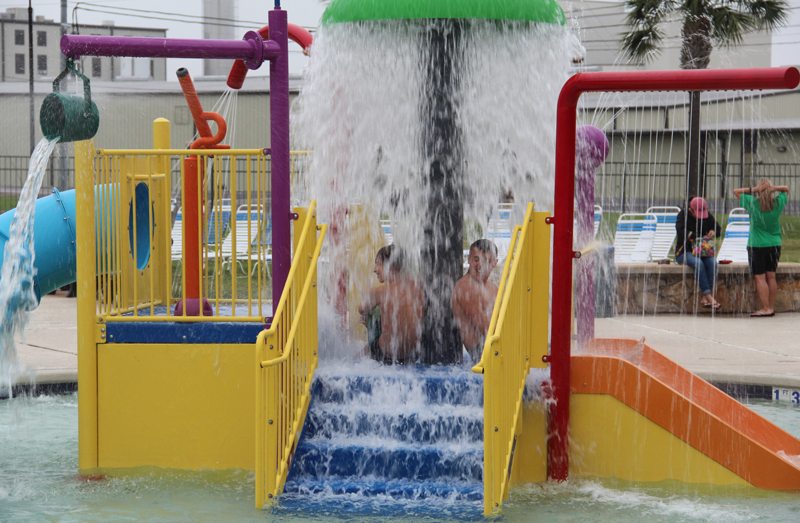 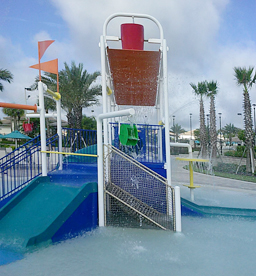 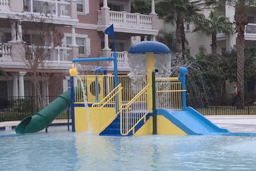 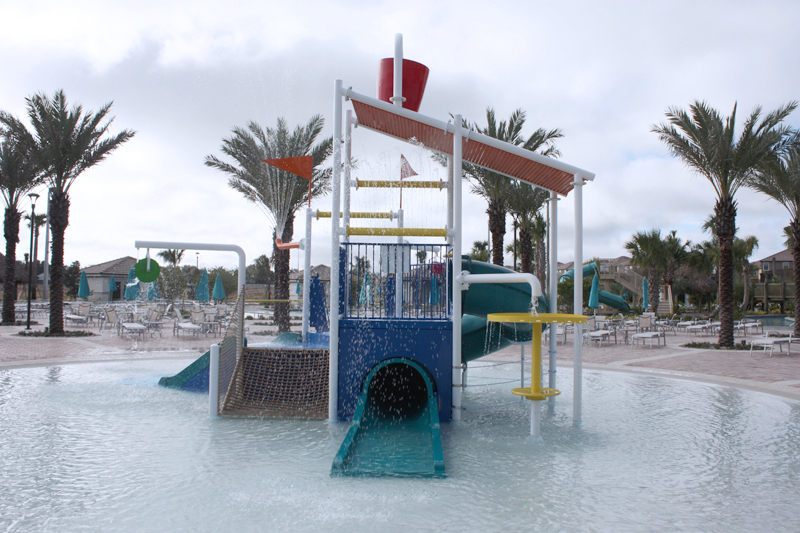 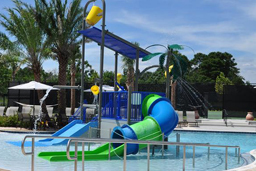 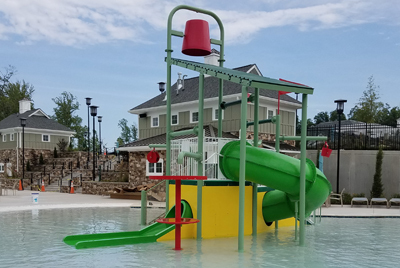 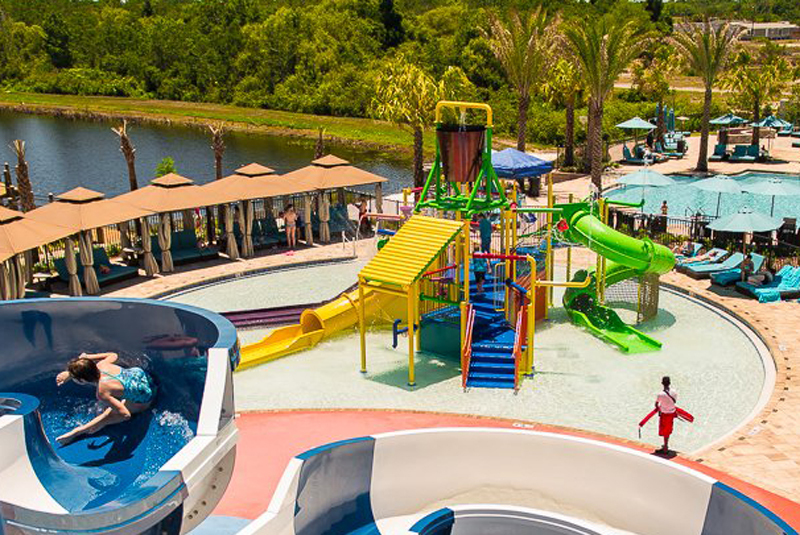 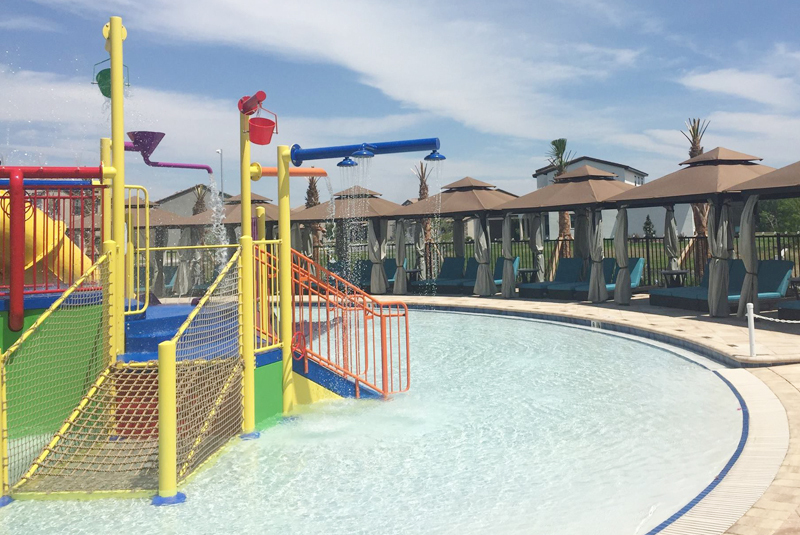 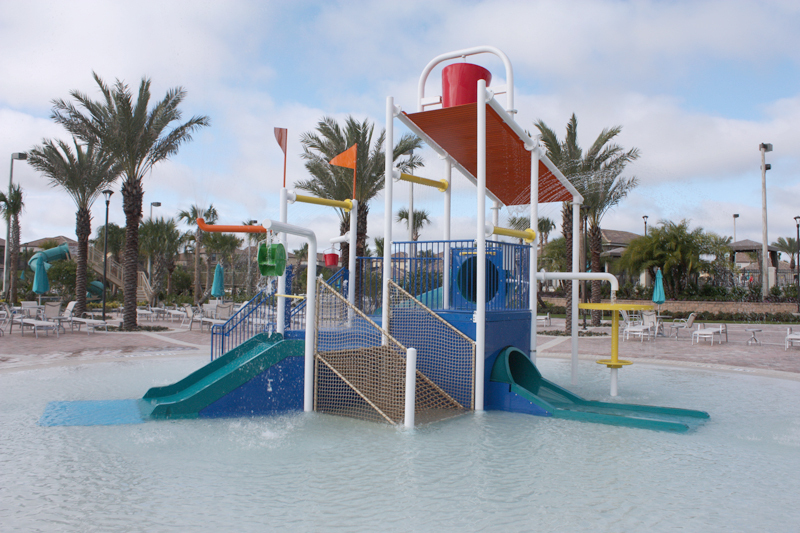 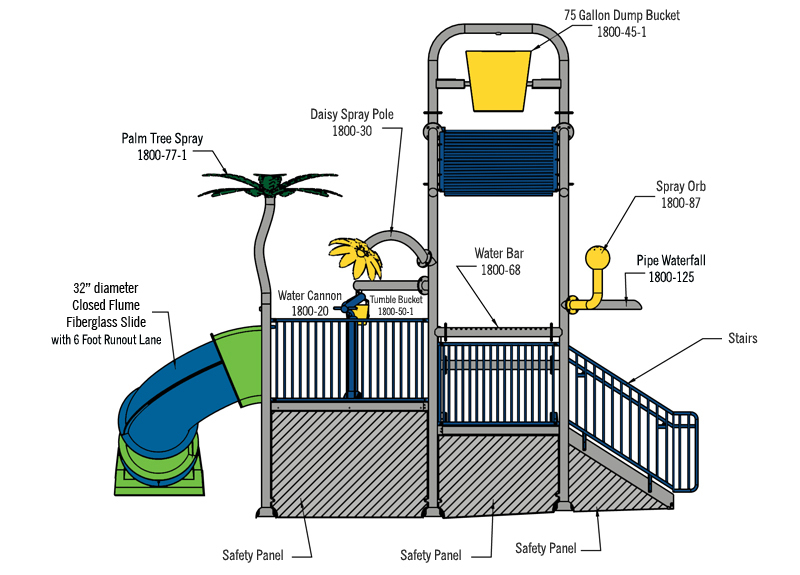 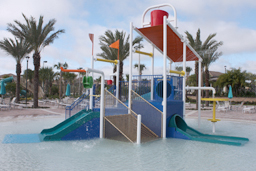 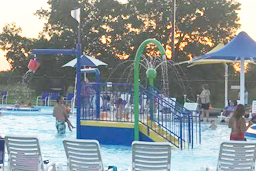 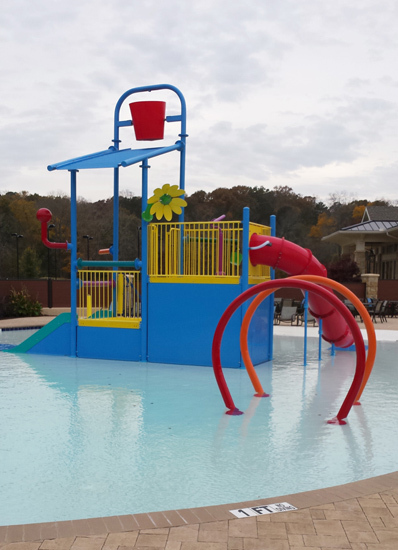 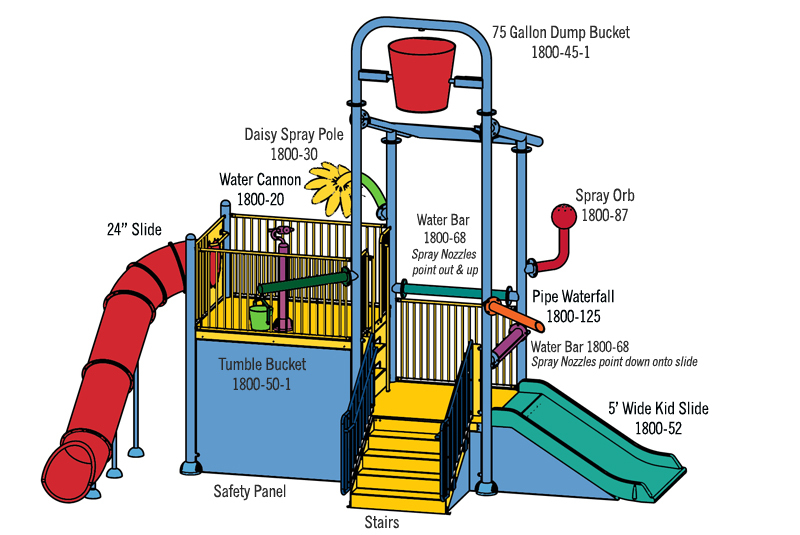 Dimensions: 42’ 7” x 40’ 3"
Water Play Structures combine all your favorite water park features into a single, fun-filled water playground: slides, spray features, climbing features, interactive spray and splash features. 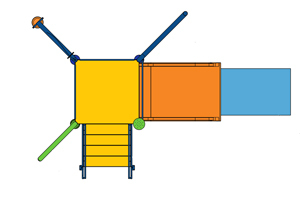 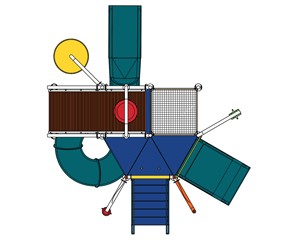 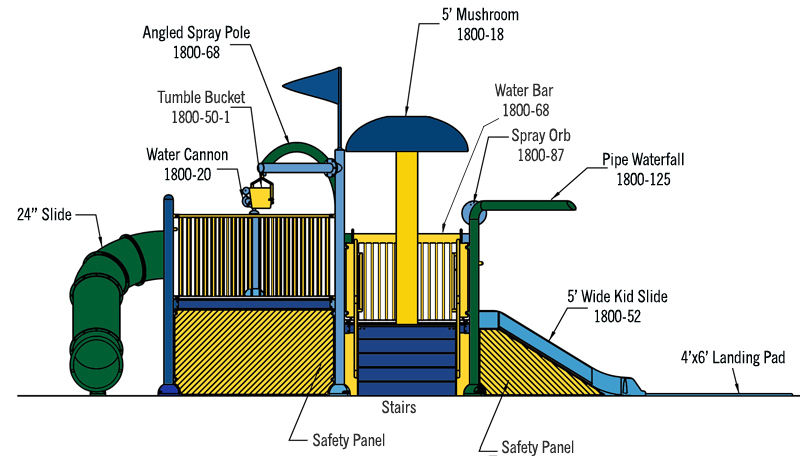 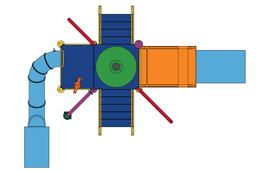 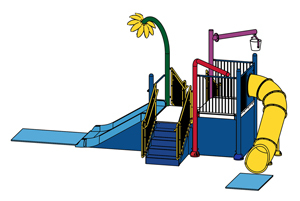 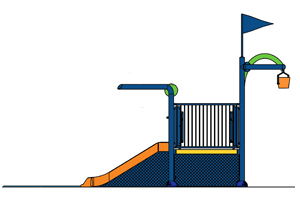 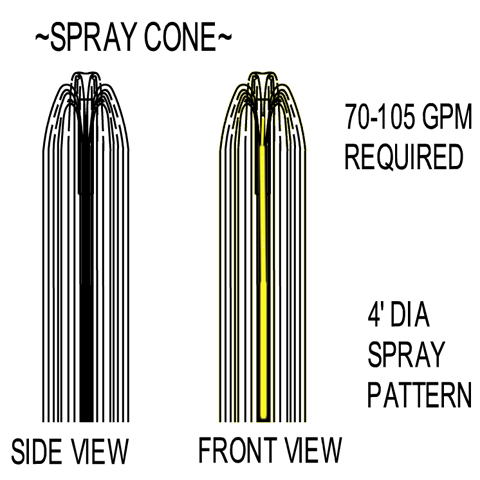 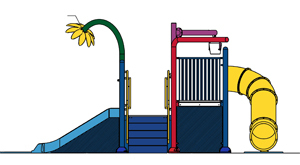 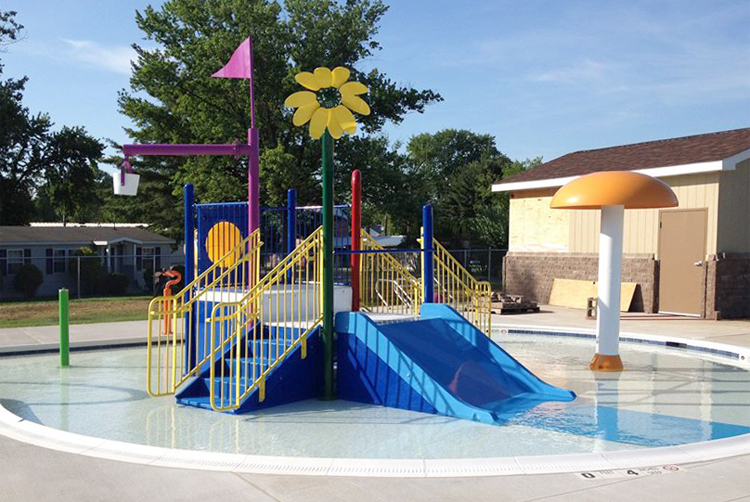 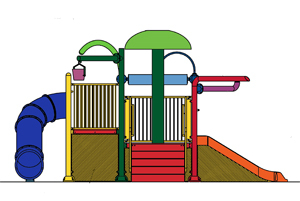 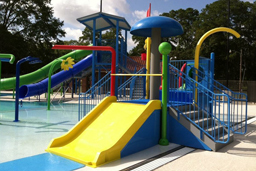 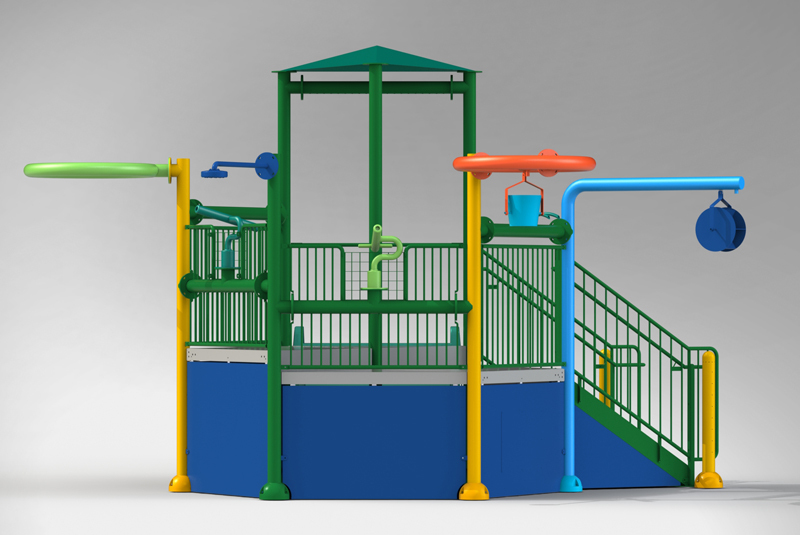 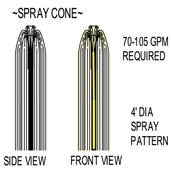 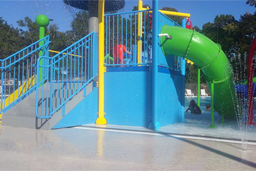 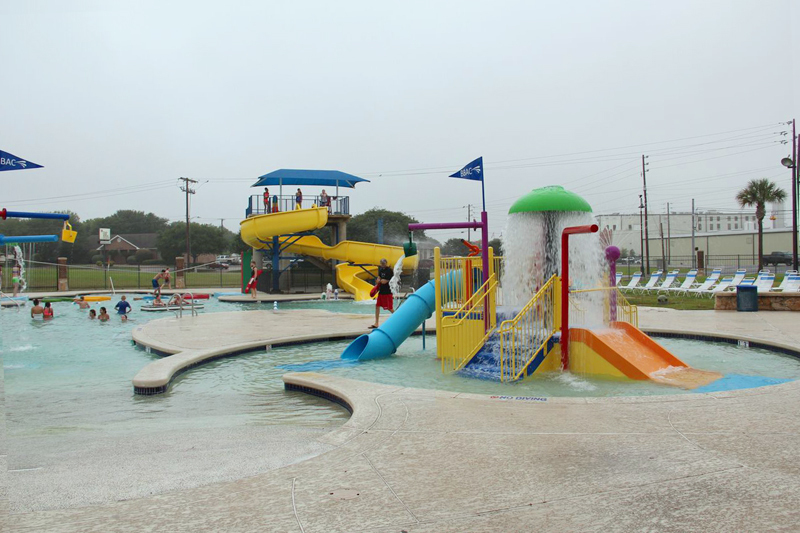 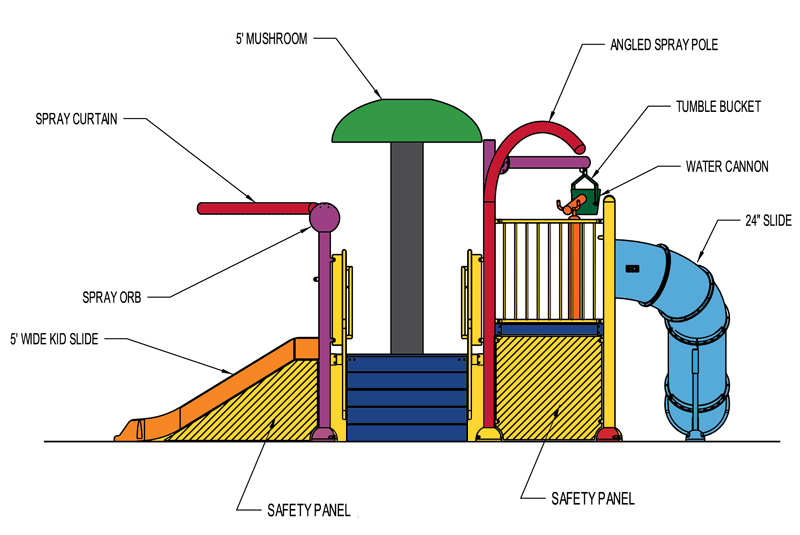 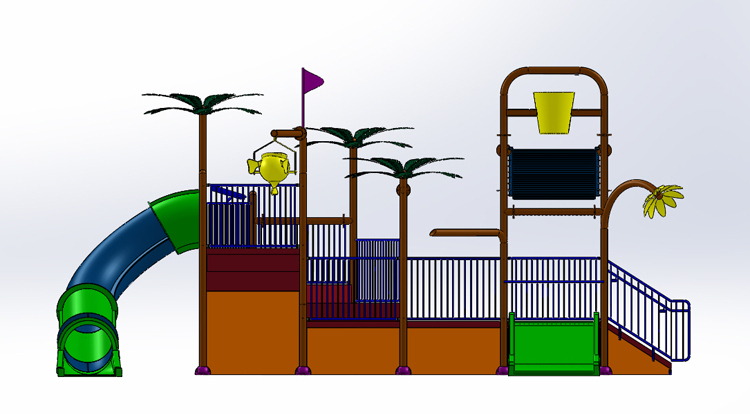 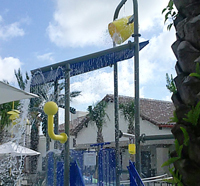 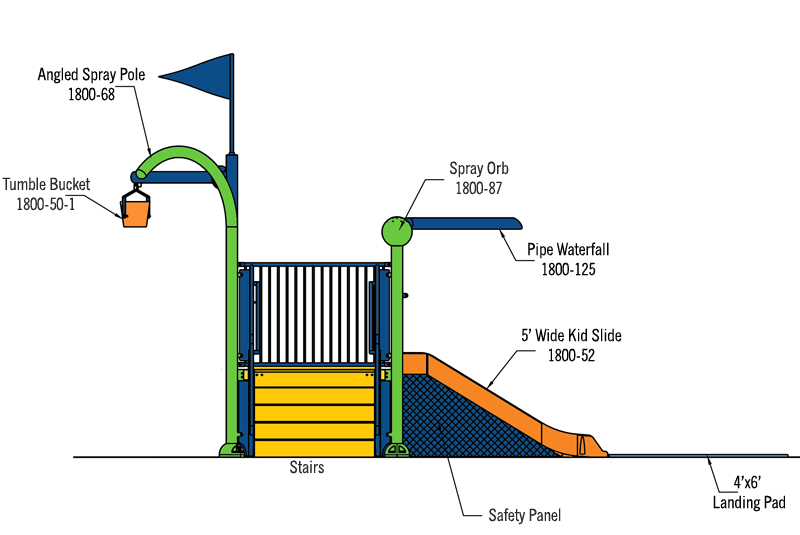 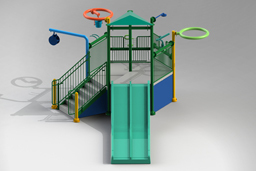 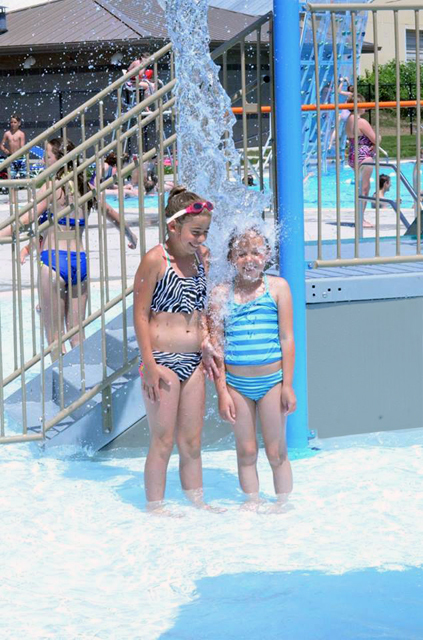 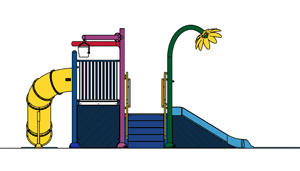 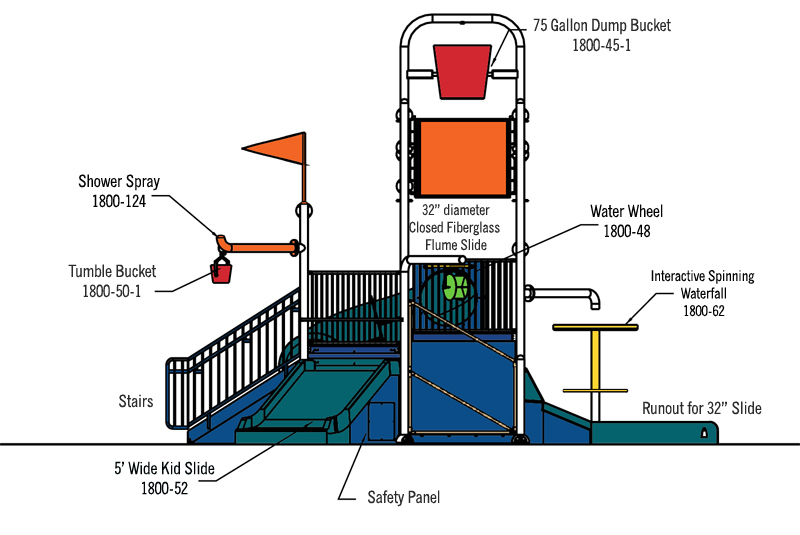 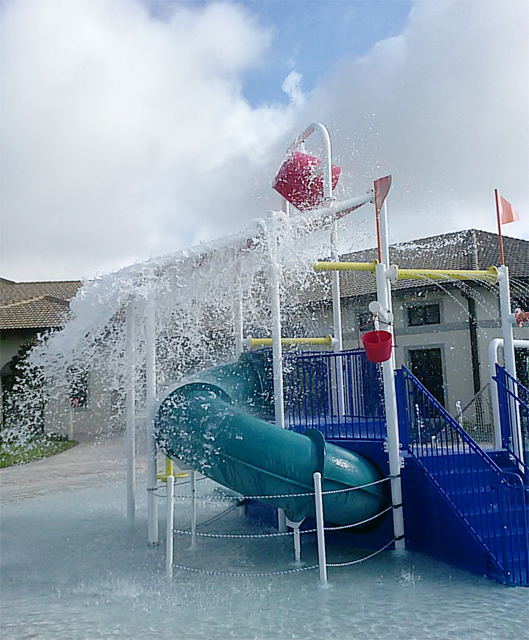 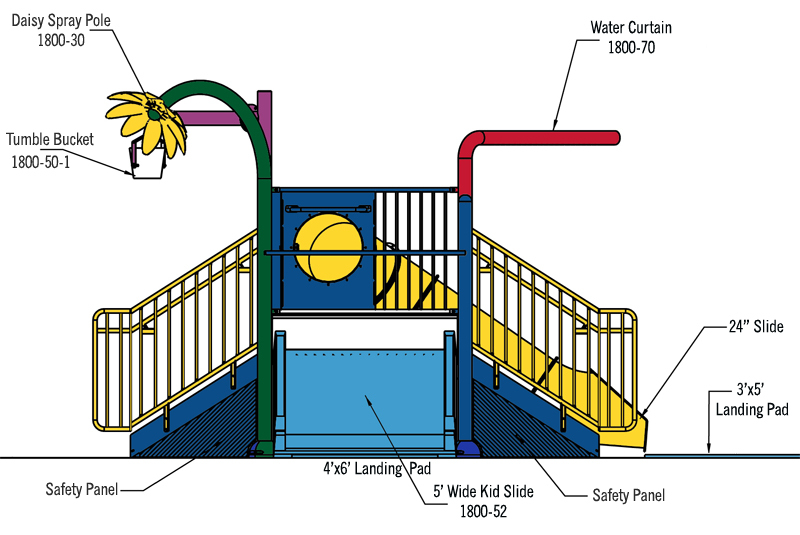 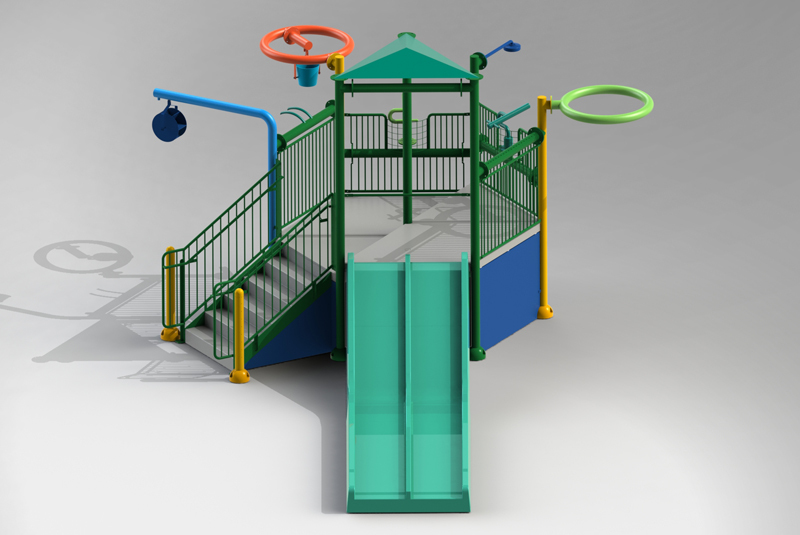 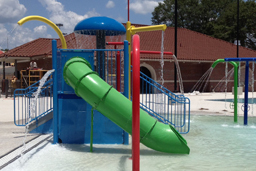 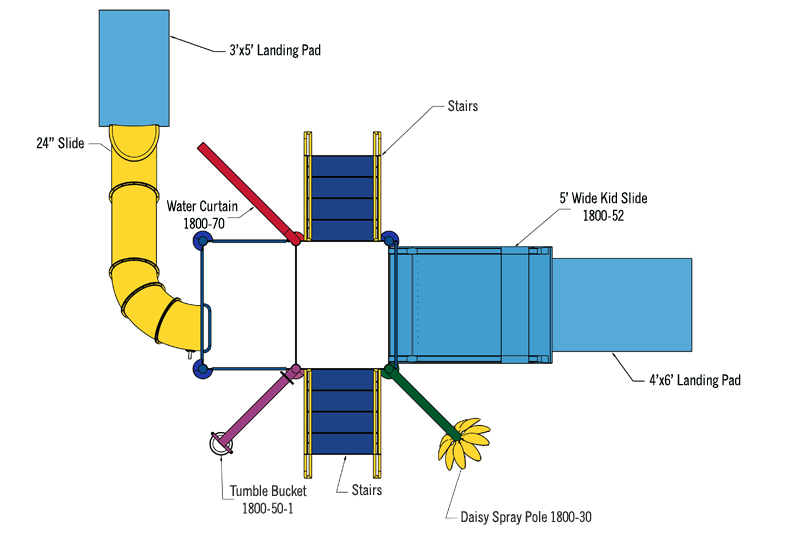 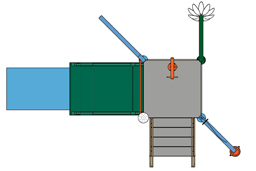 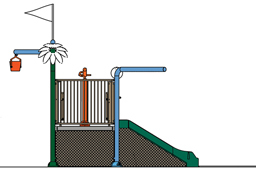 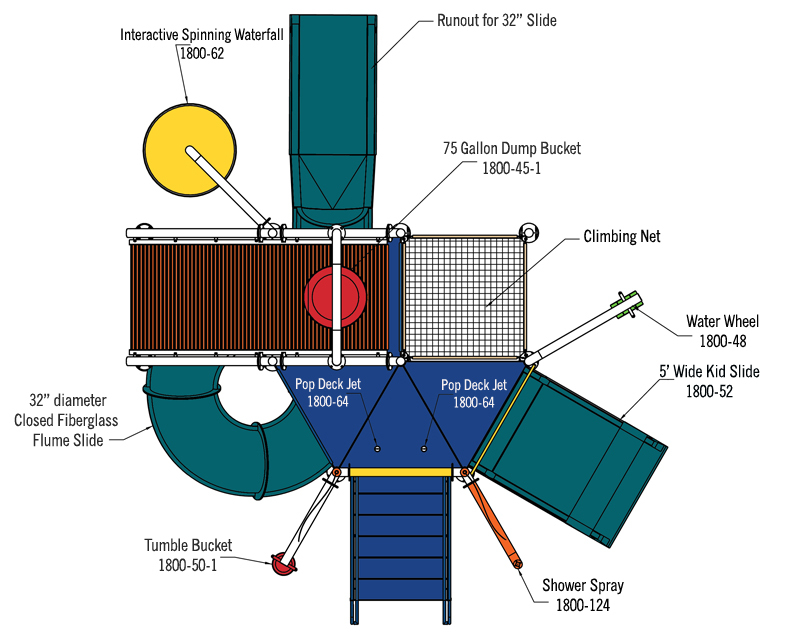 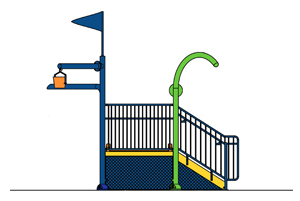 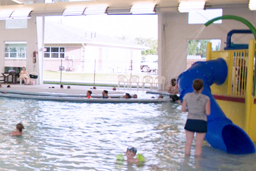 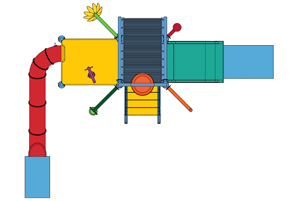 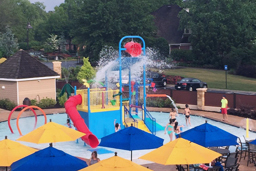 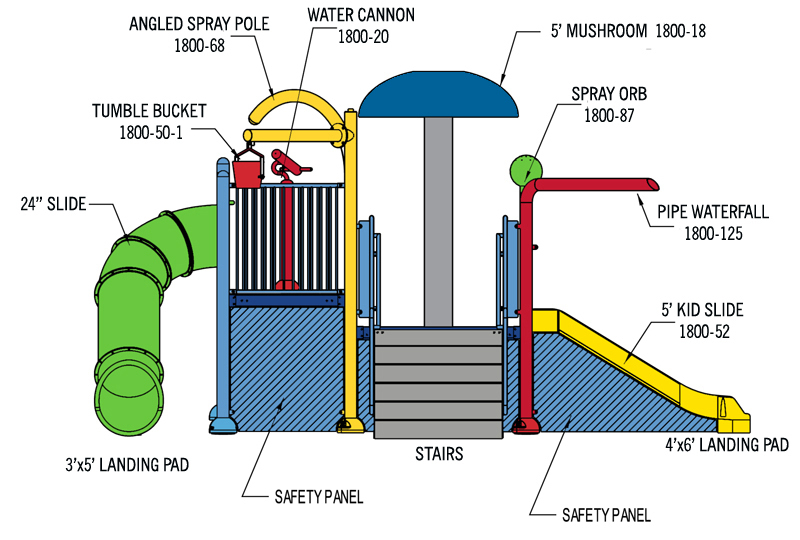 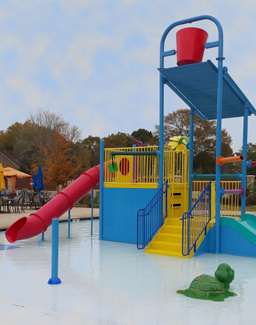 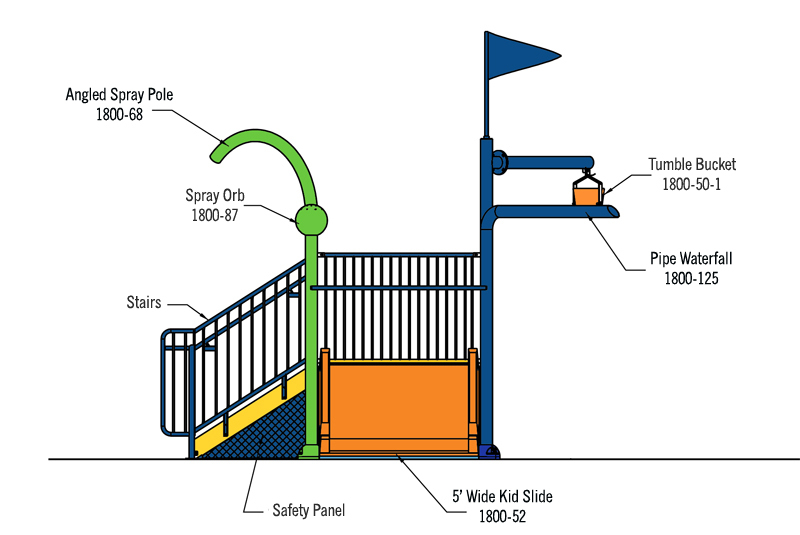 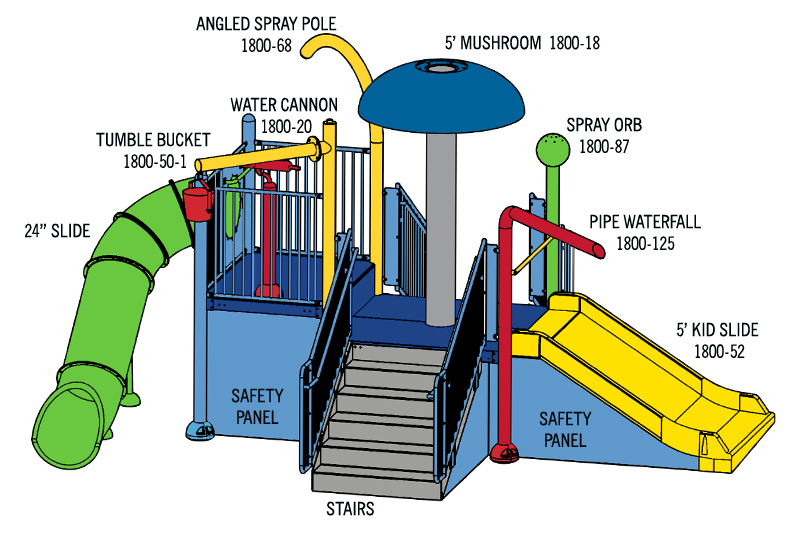 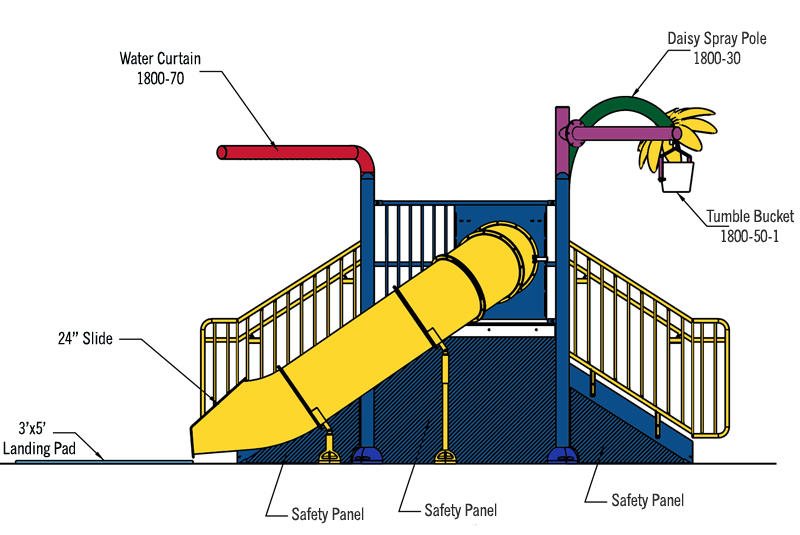 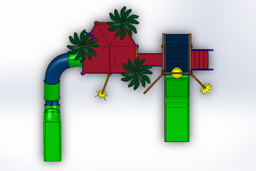 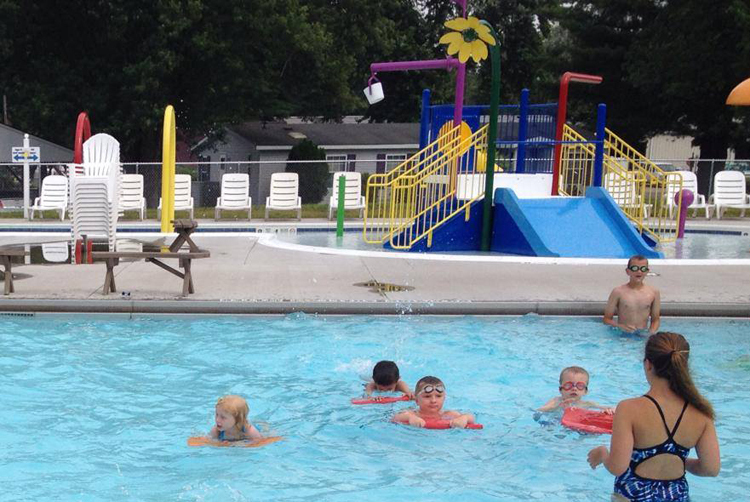 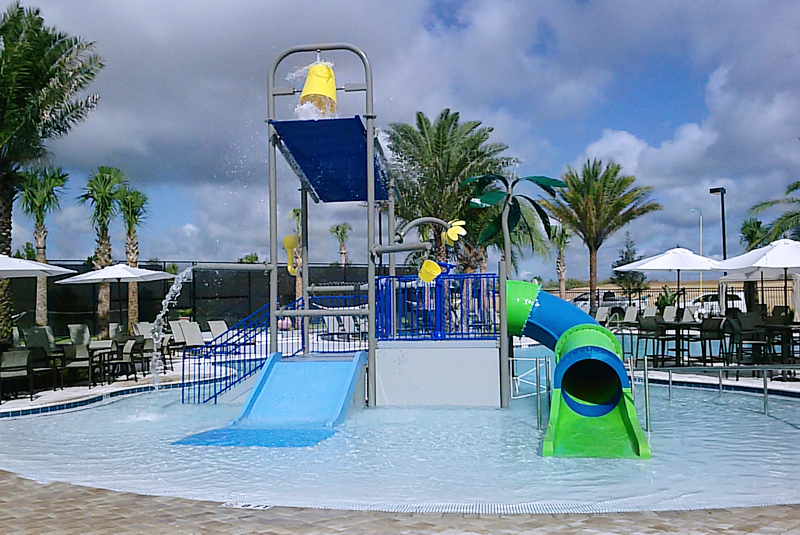 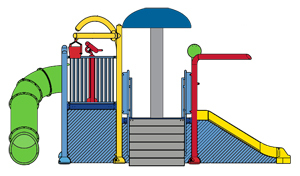 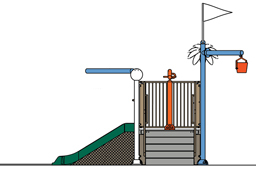 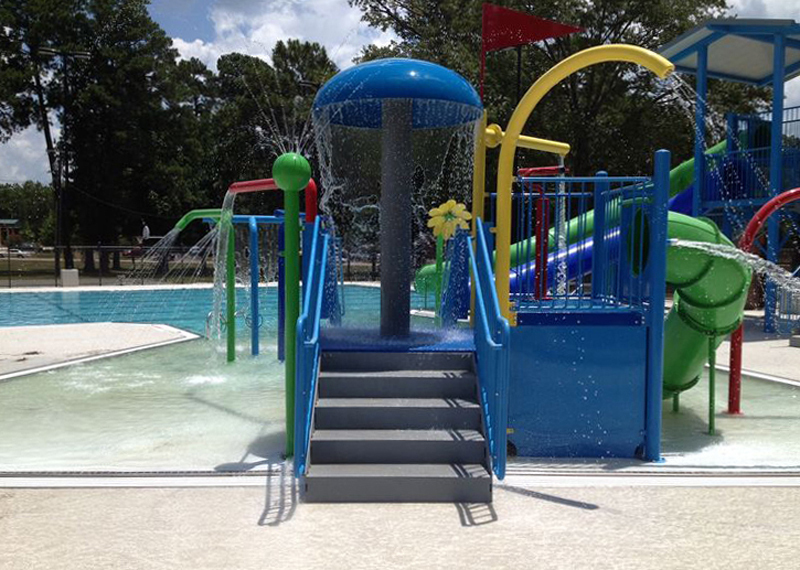 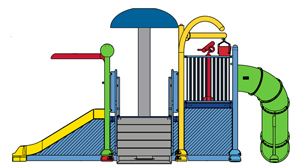 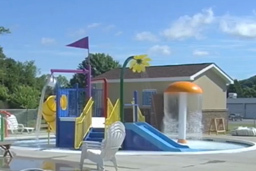 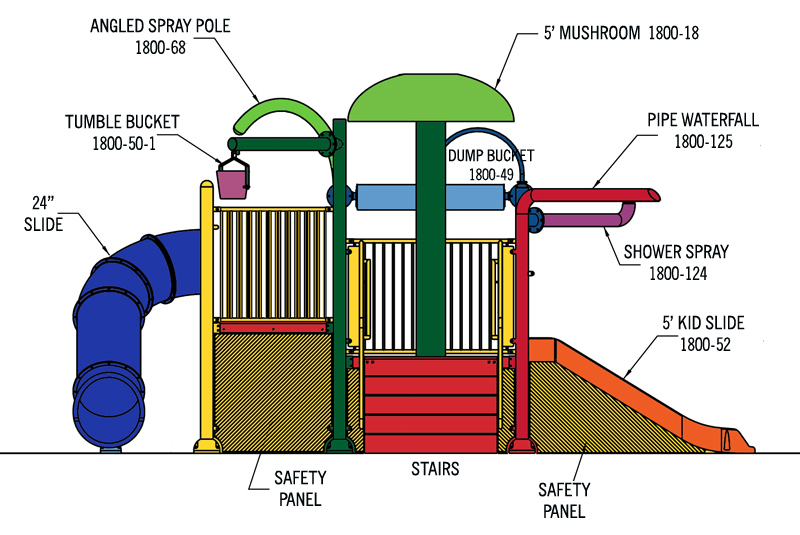 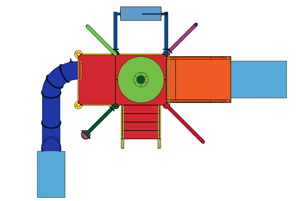 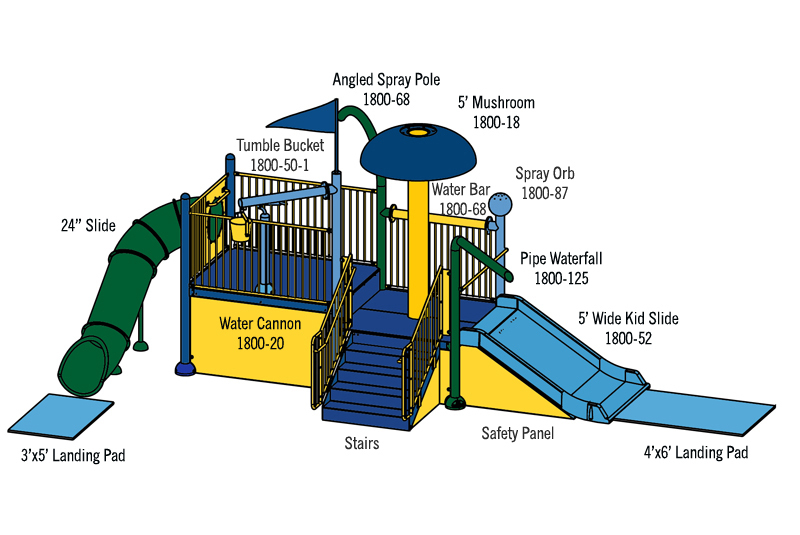 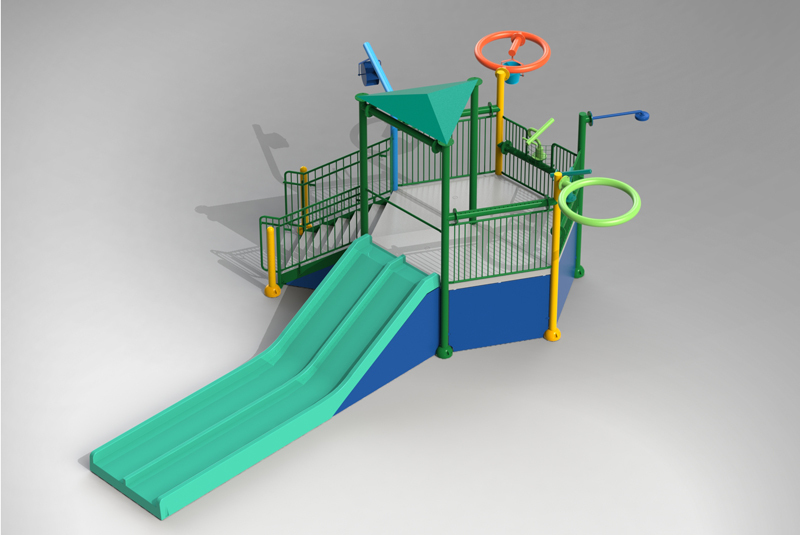 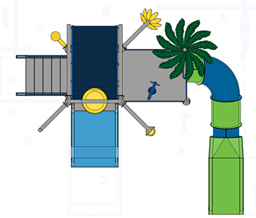 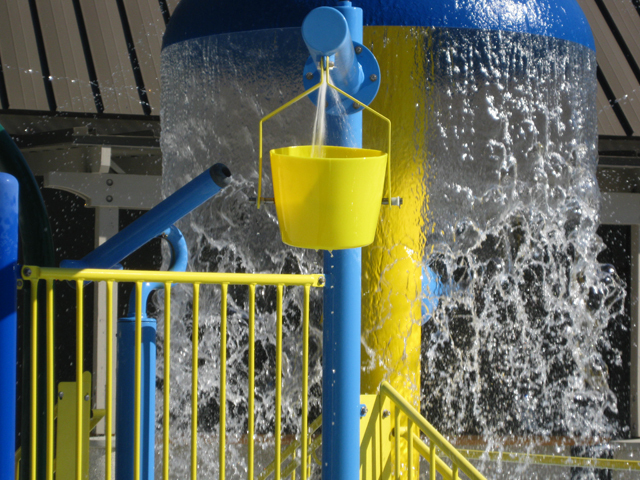 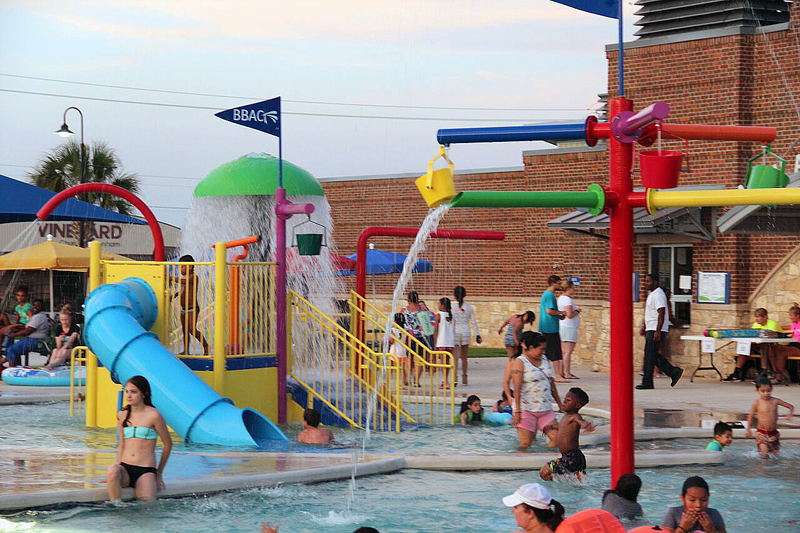 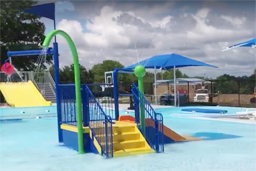 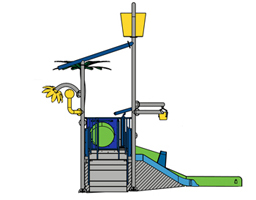 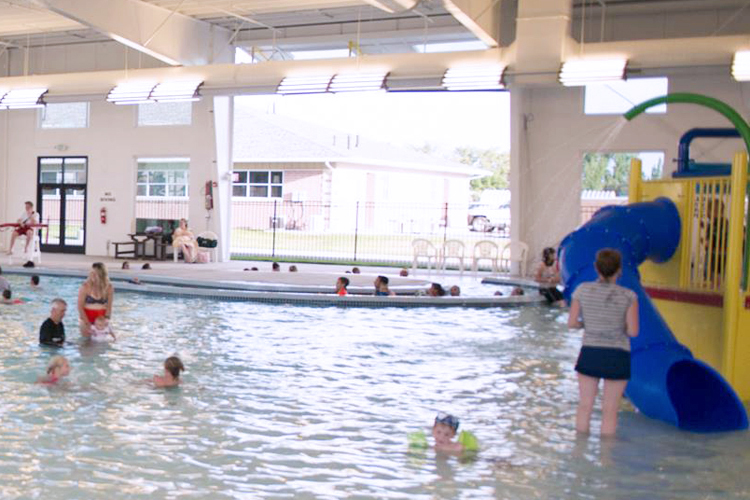 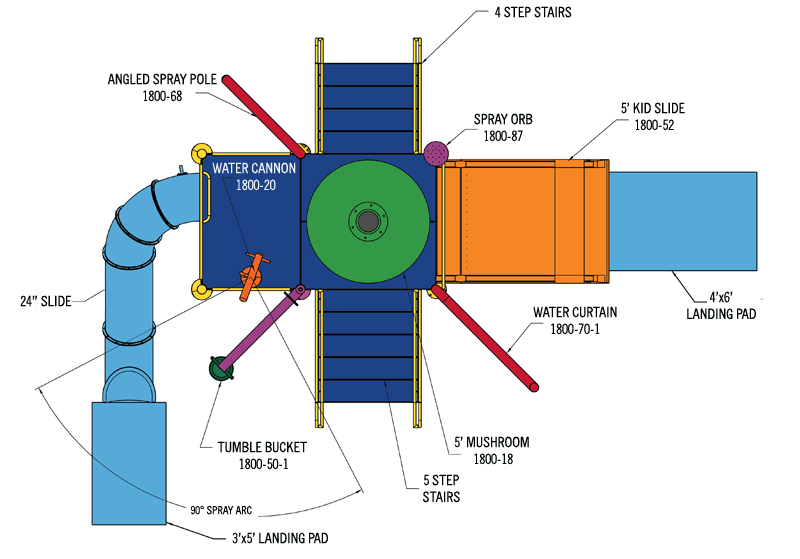 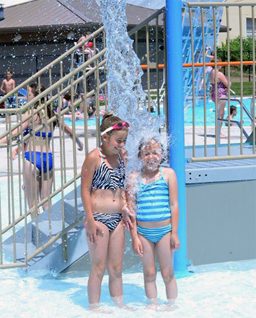 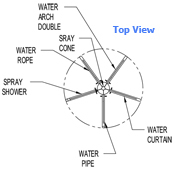 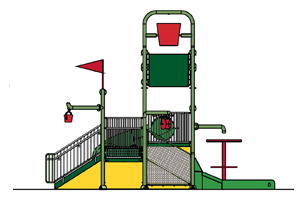 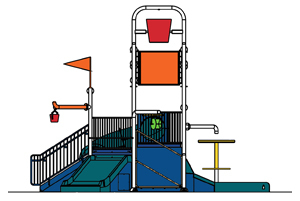 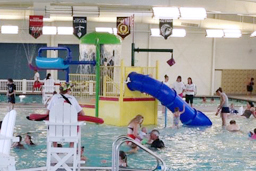 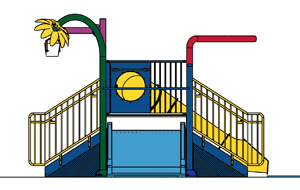 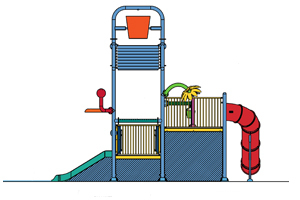 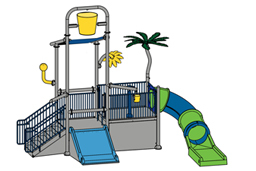 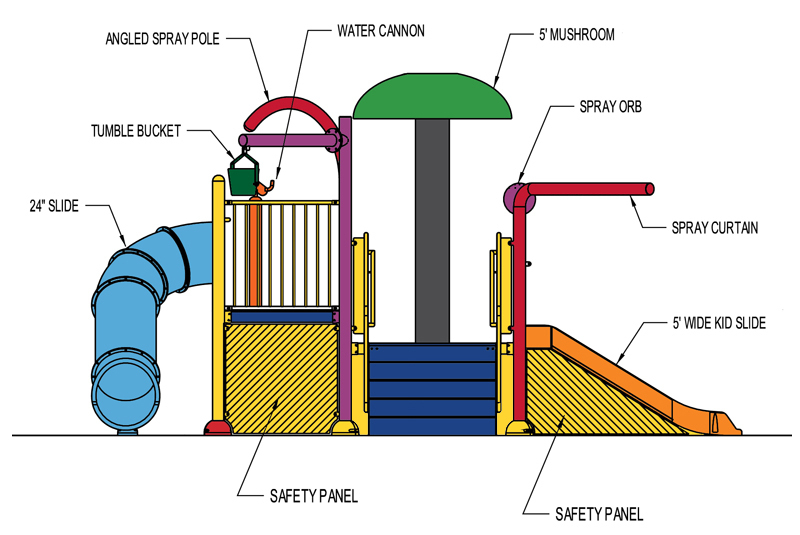 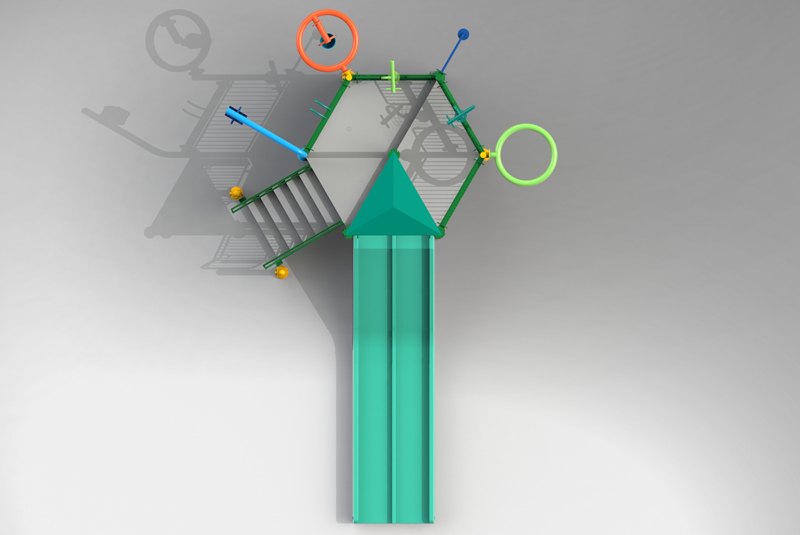 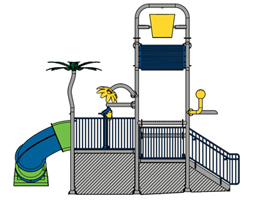 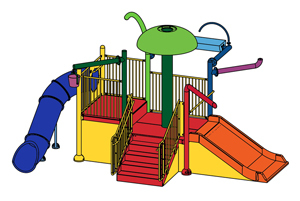 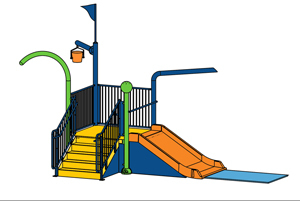 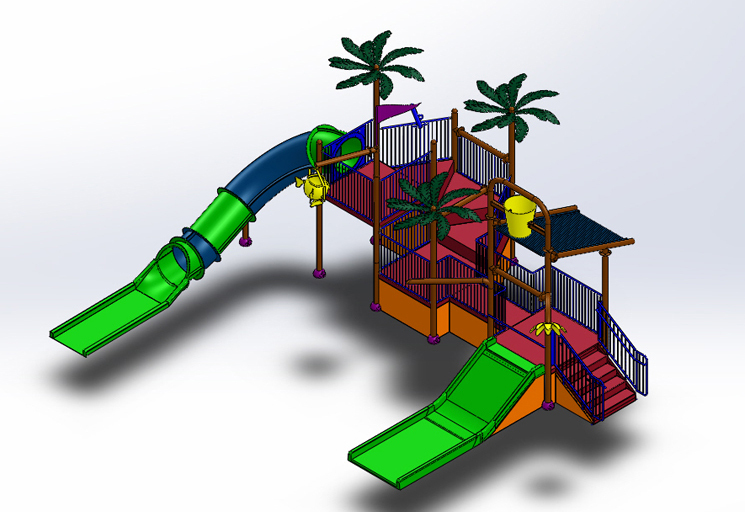 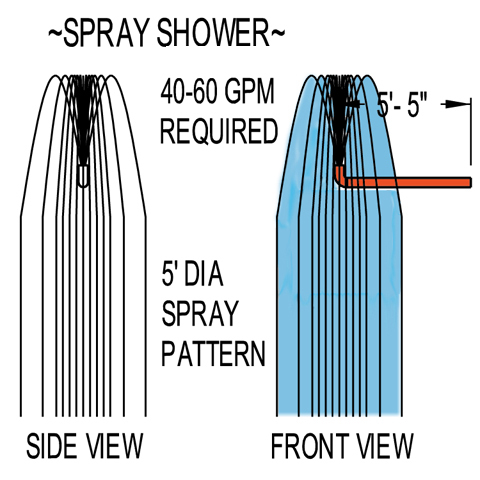 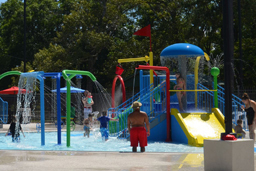 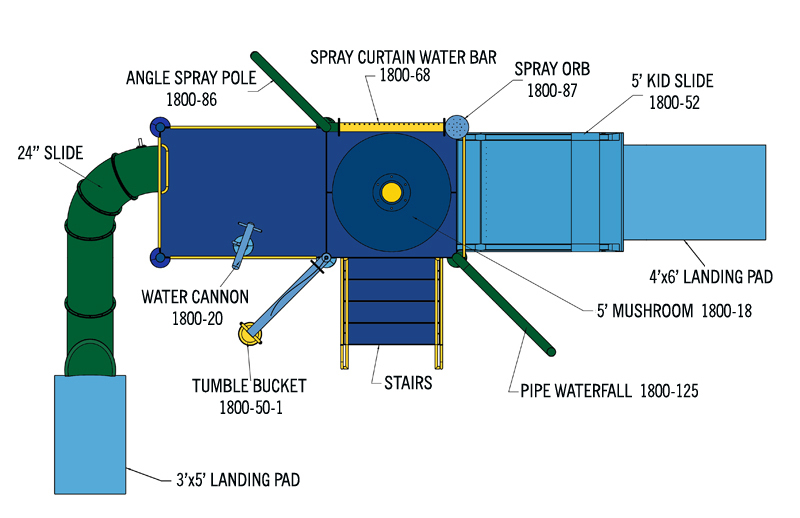 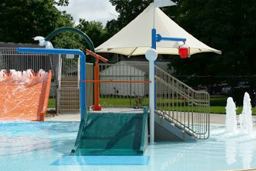 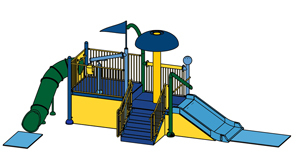 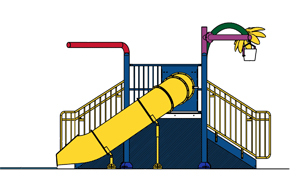 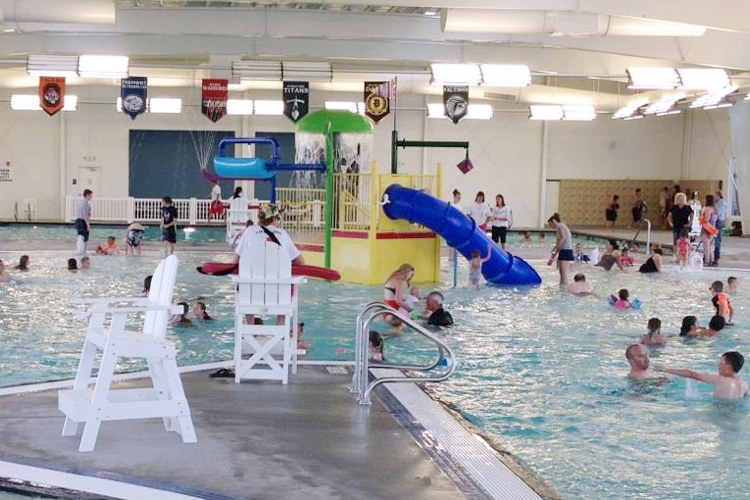 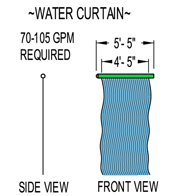 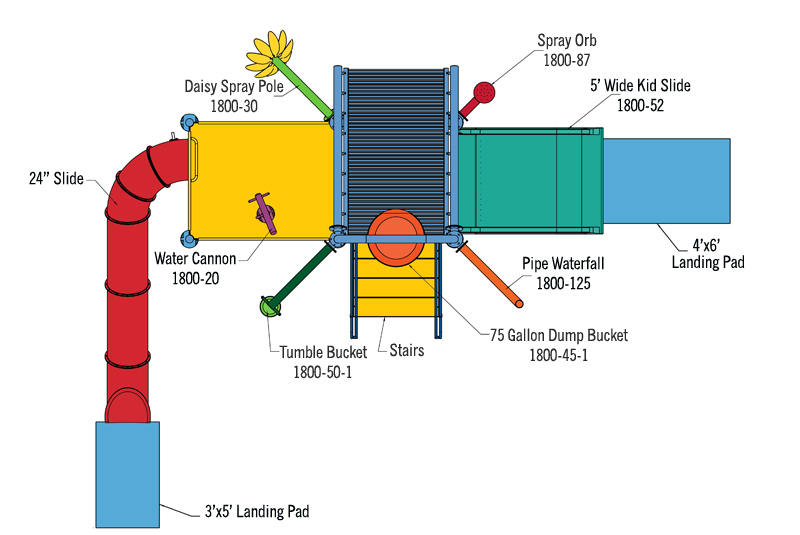 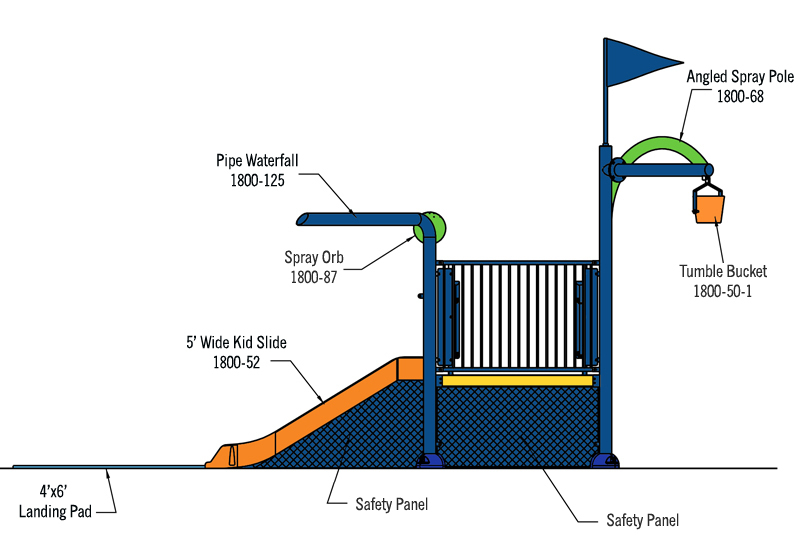 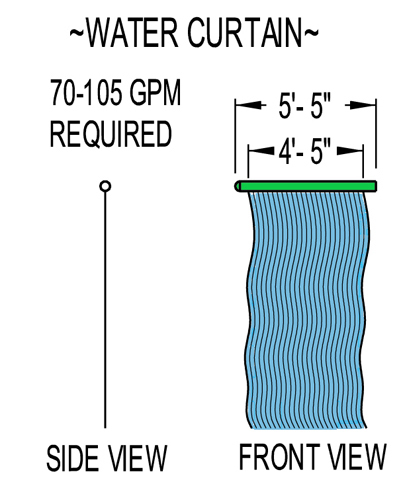 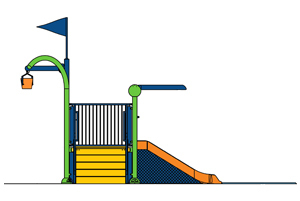 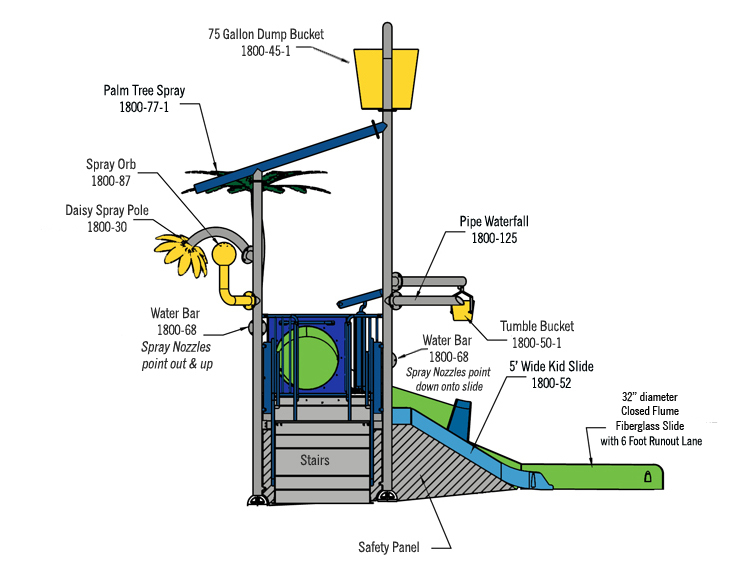 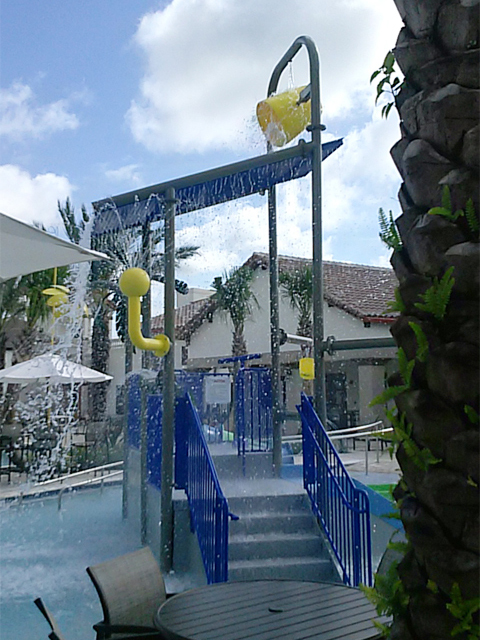 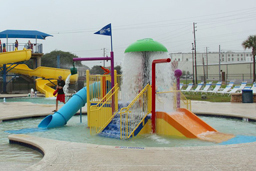 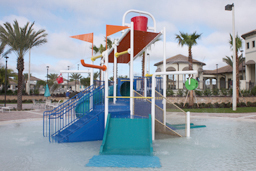 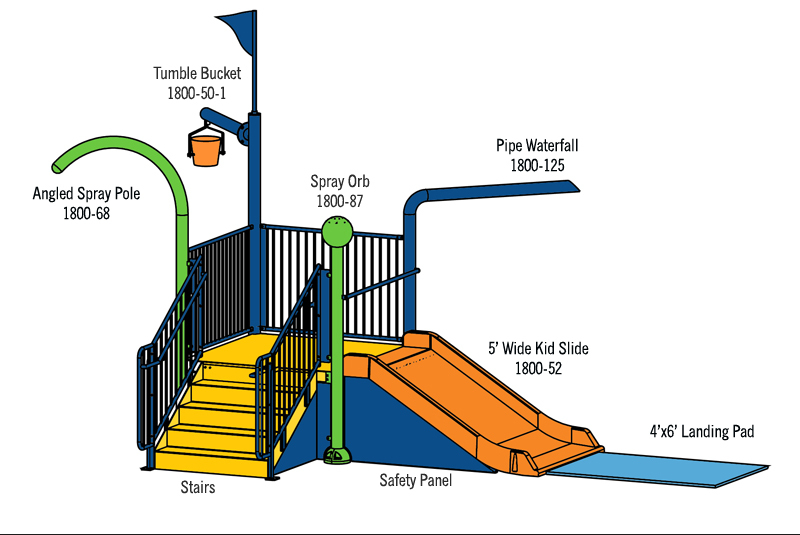 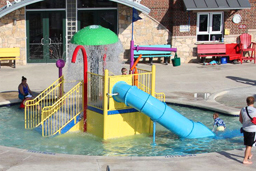 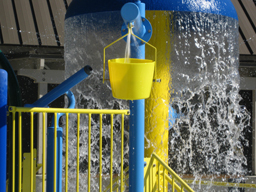 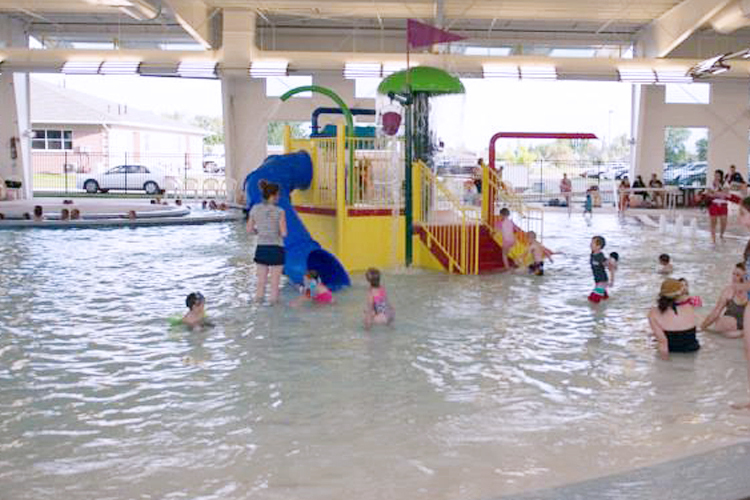 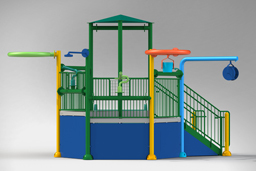 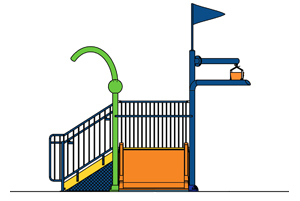 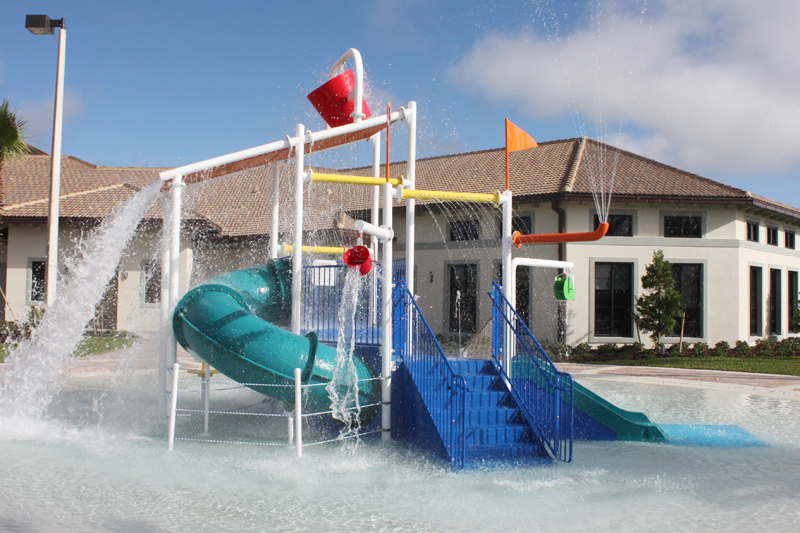 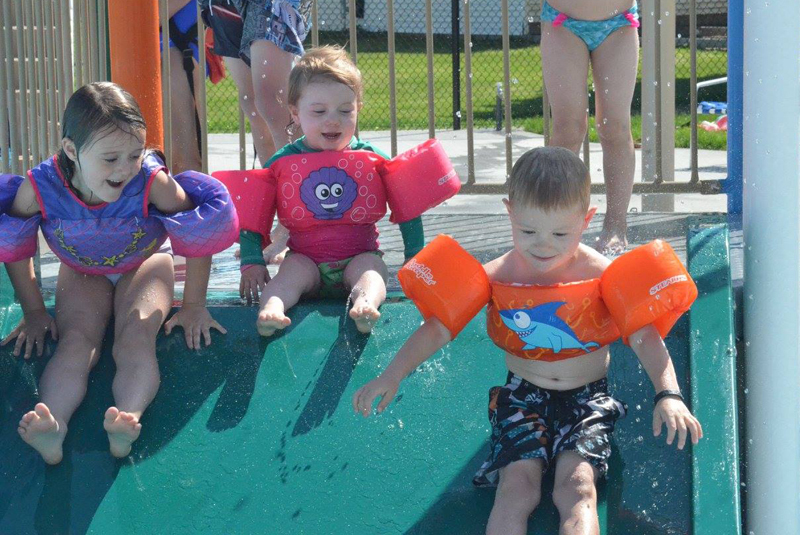 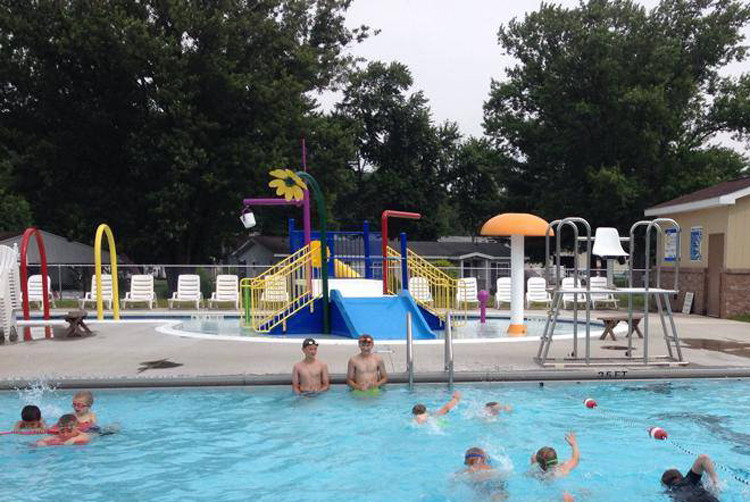 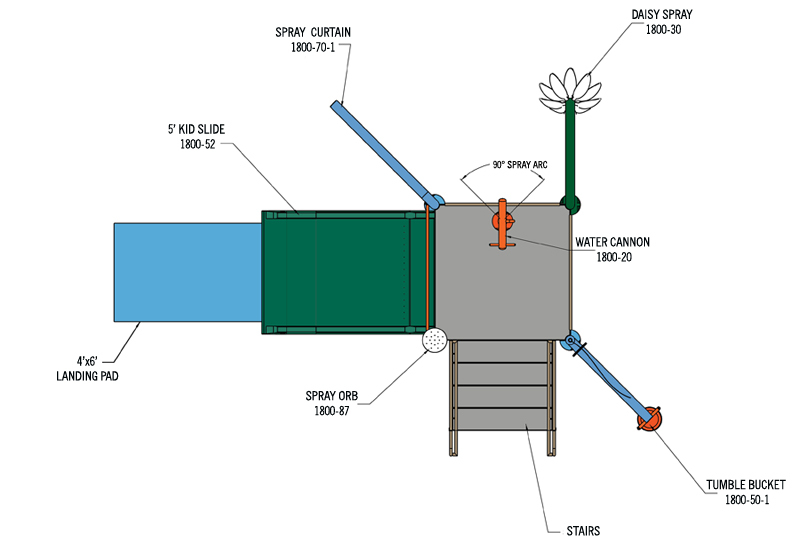 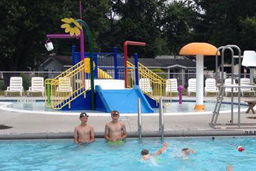 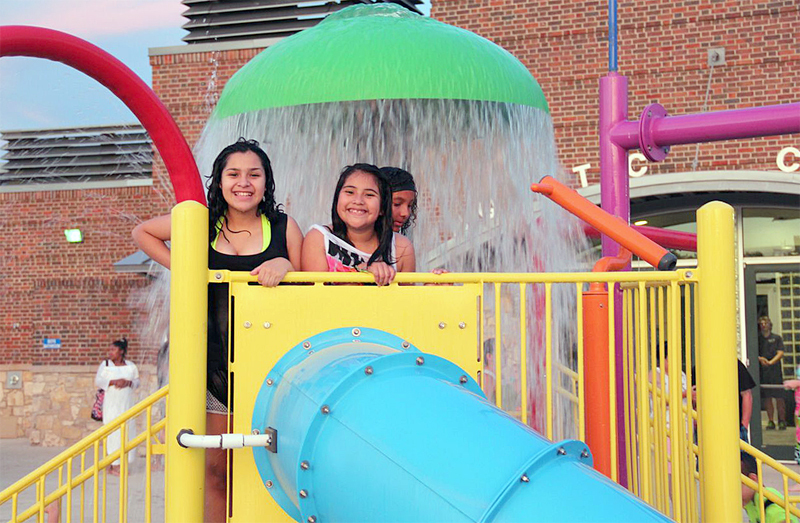 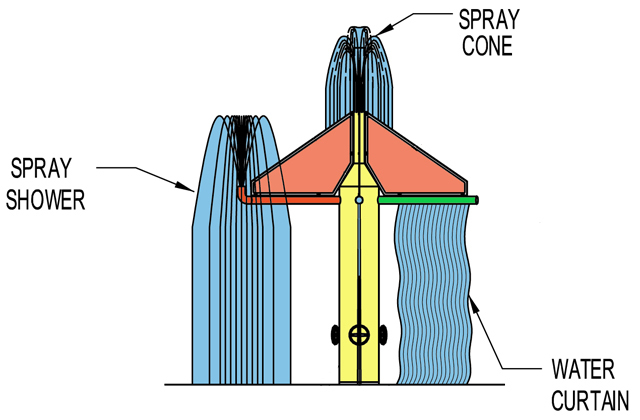 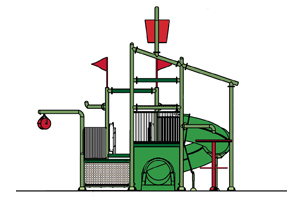 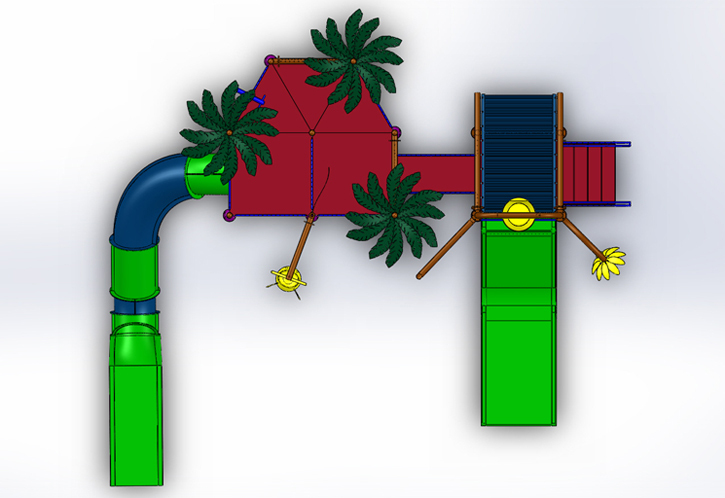 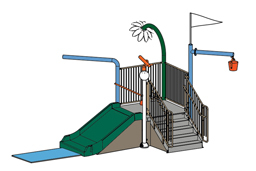 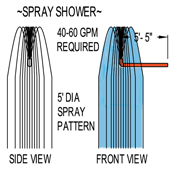 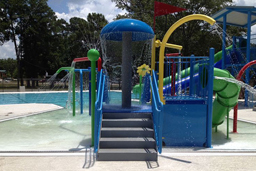 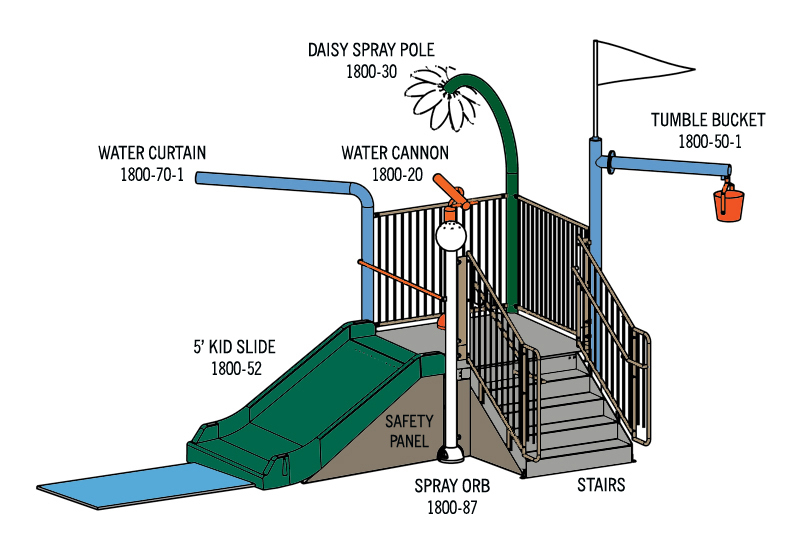 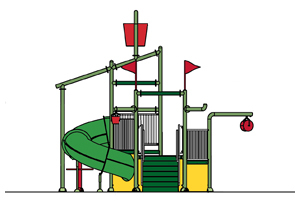 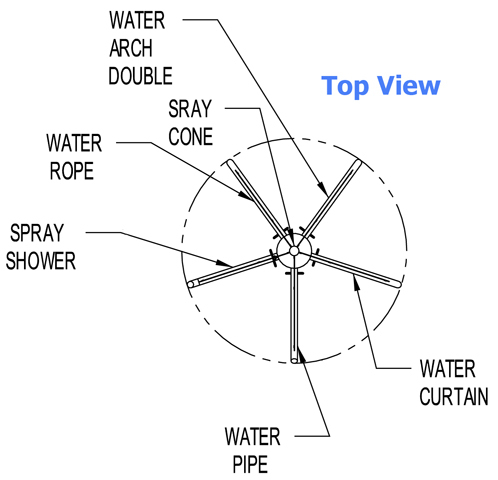 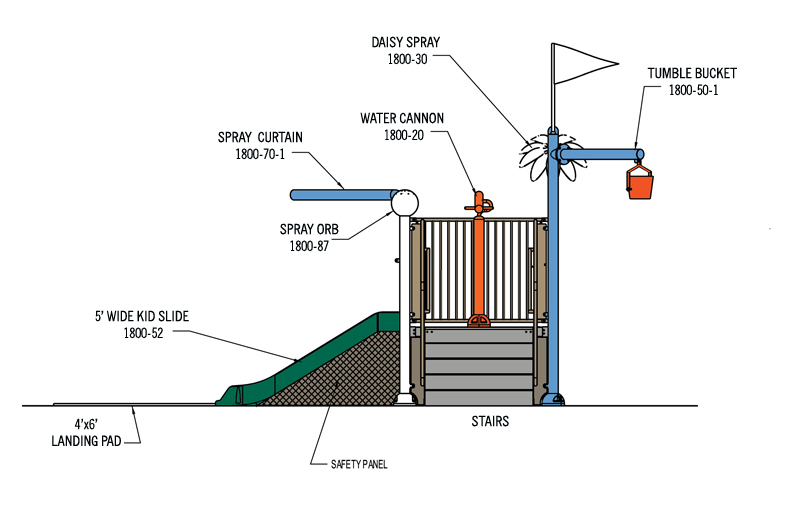 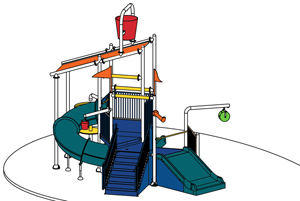 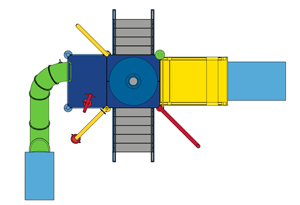 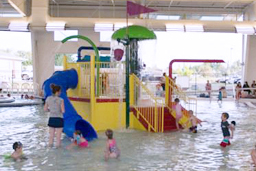 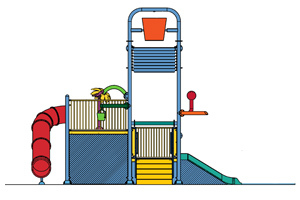 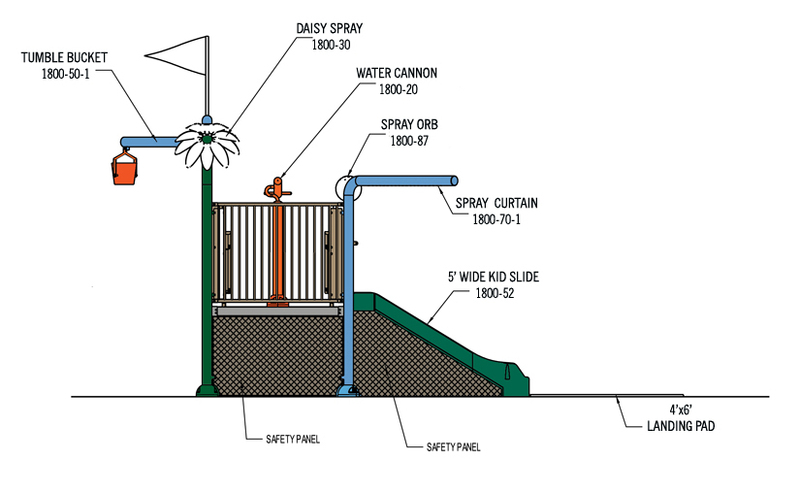 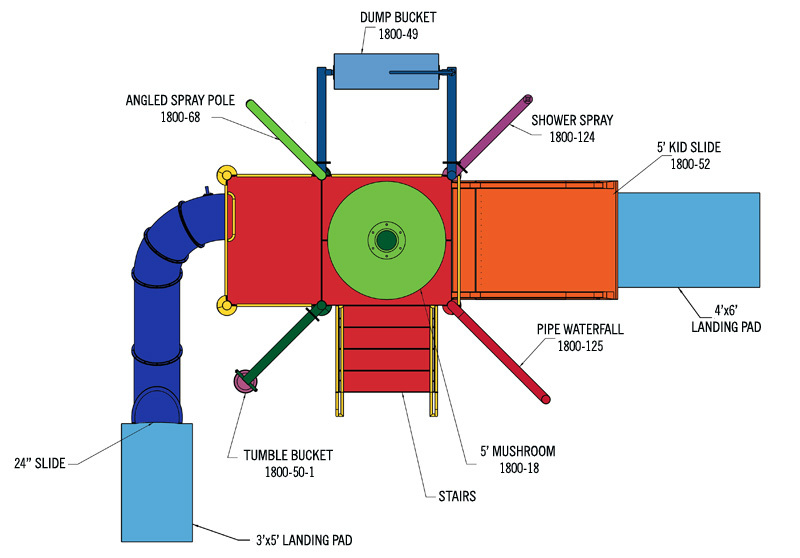 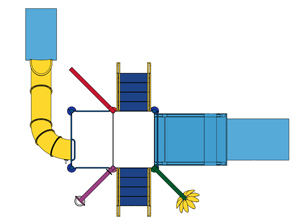 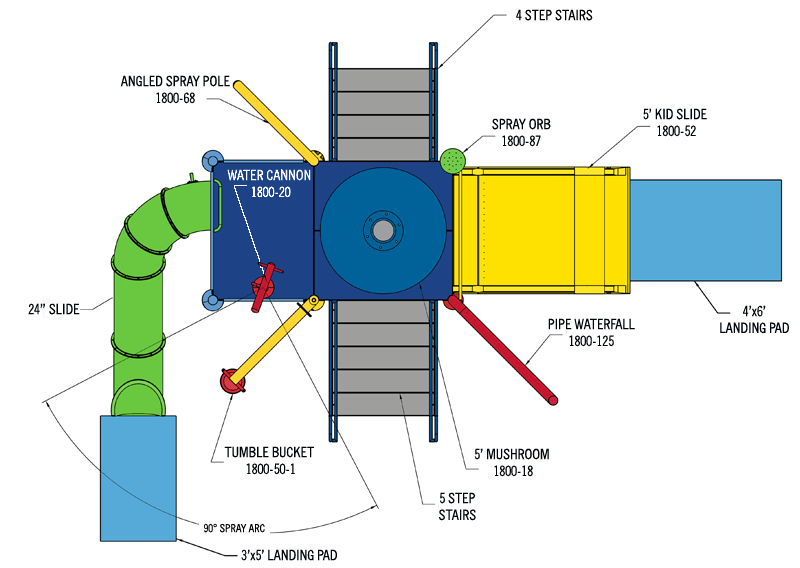 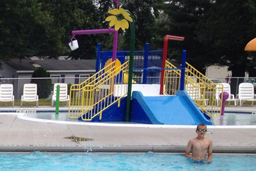 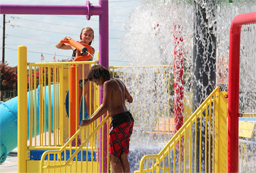 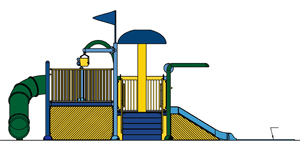 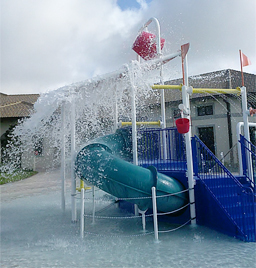 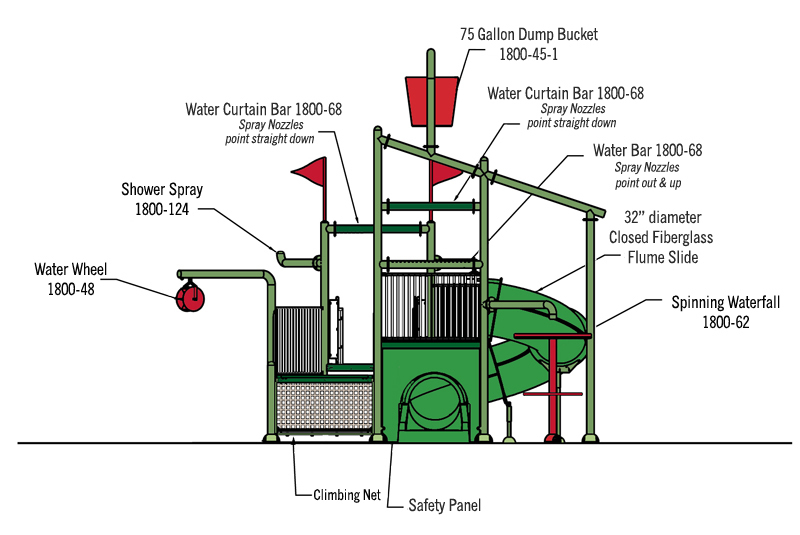 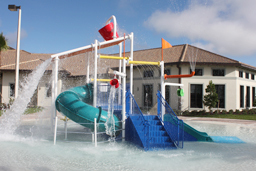 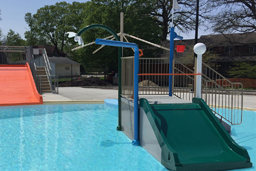 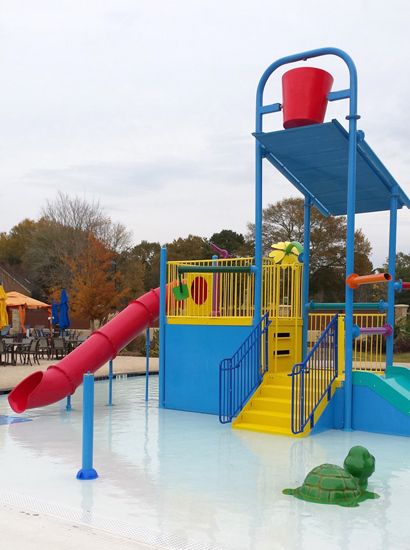 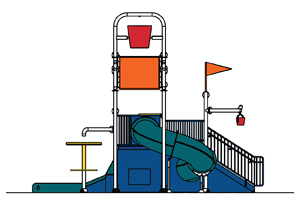 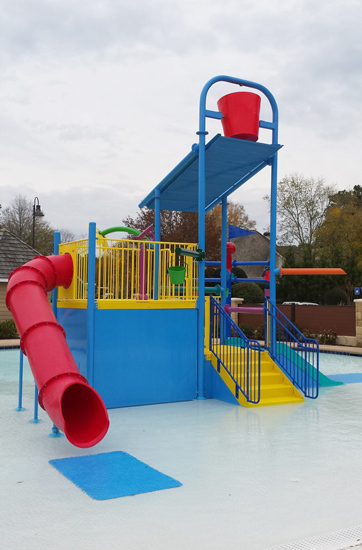 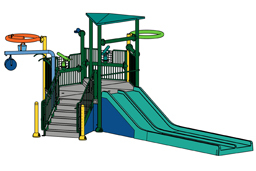 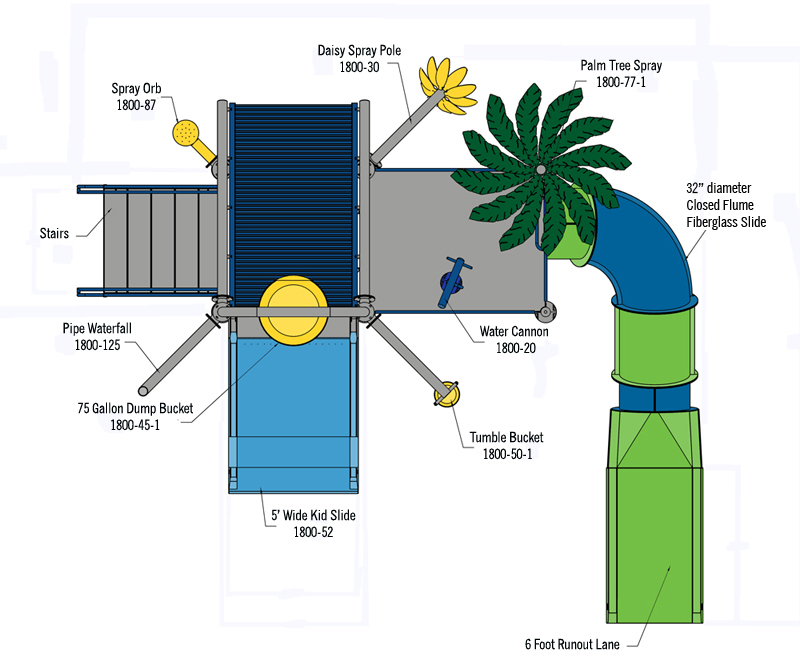 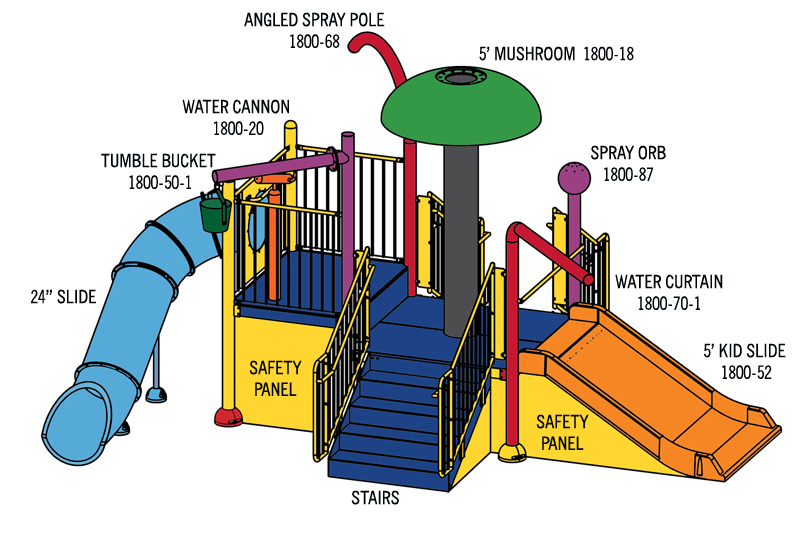 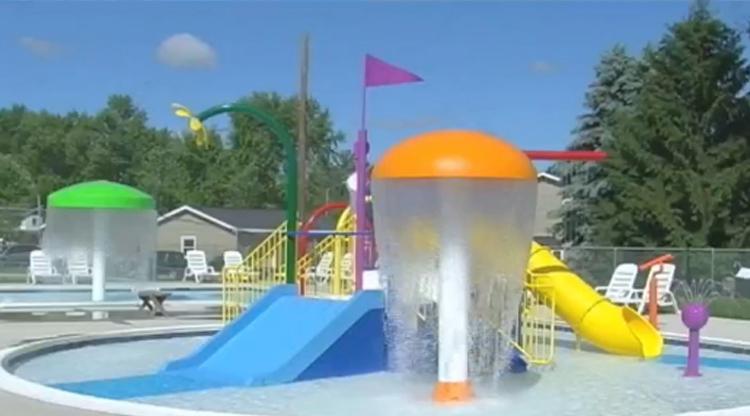 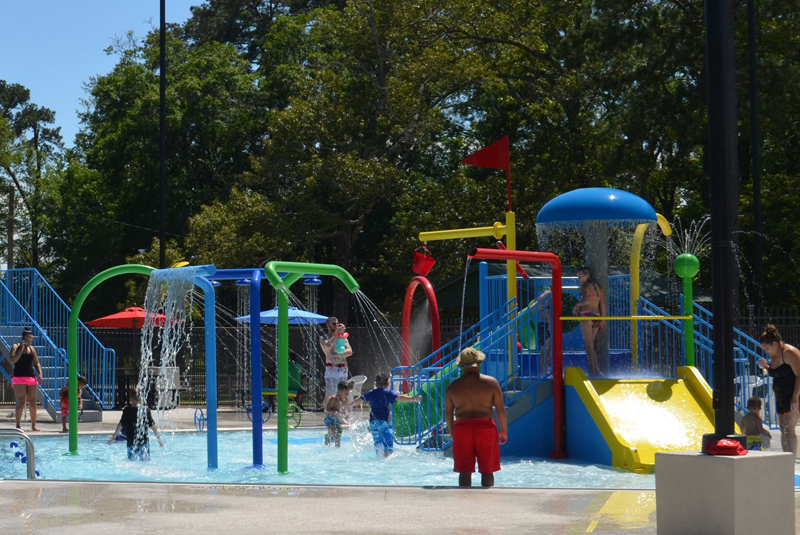 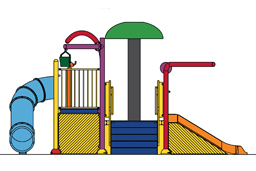 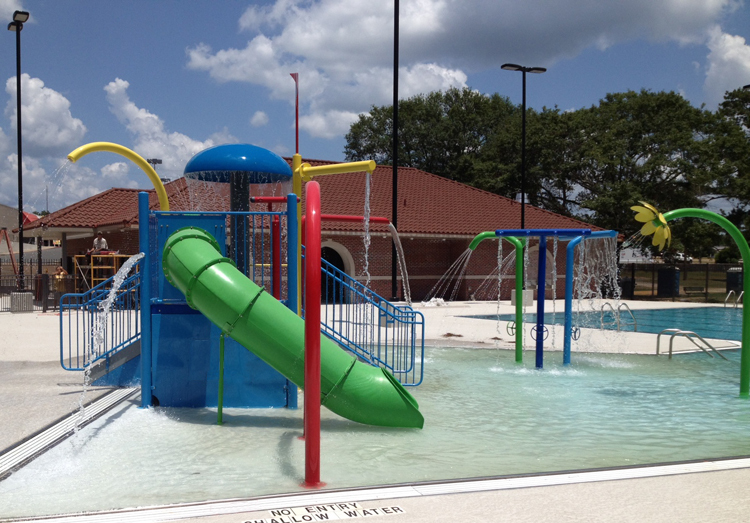 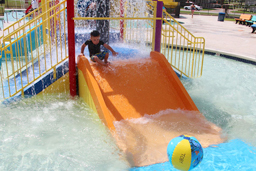 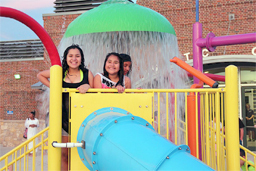 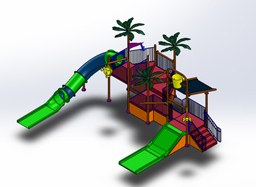 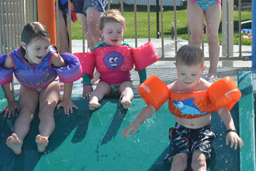 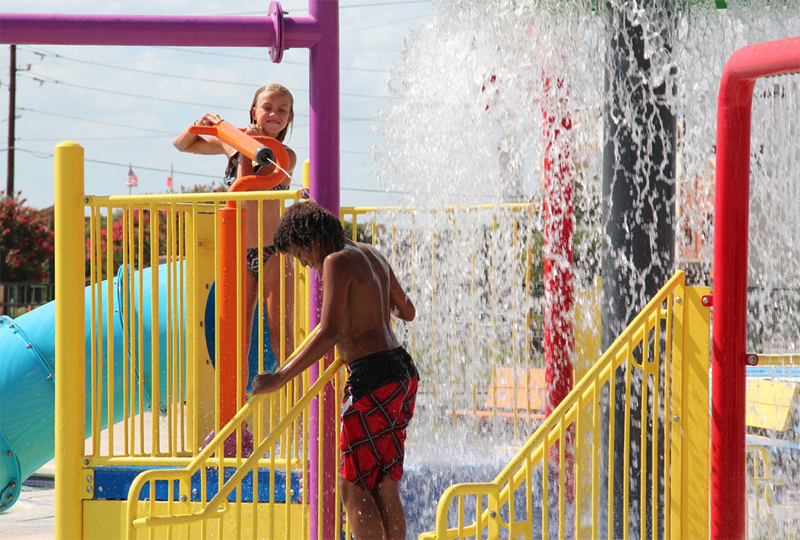 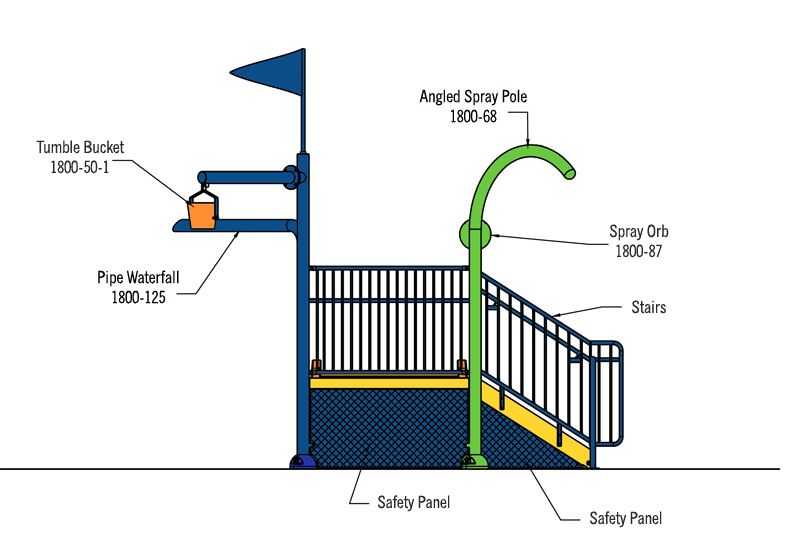 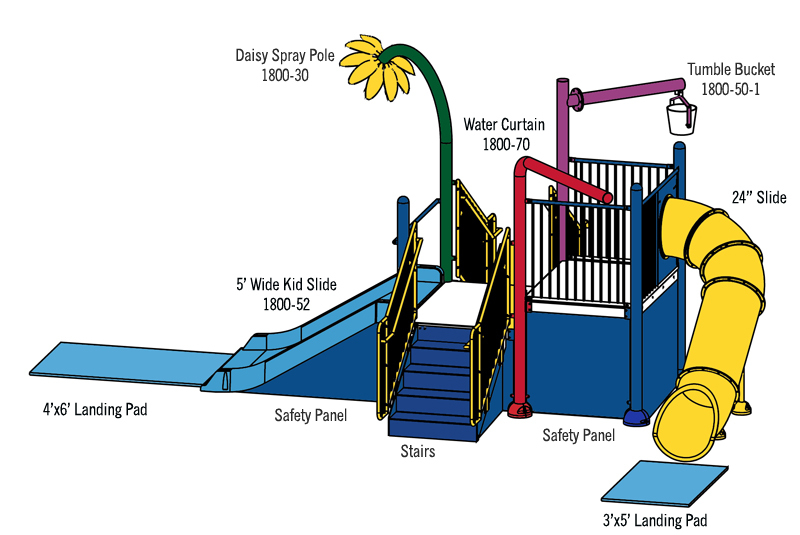 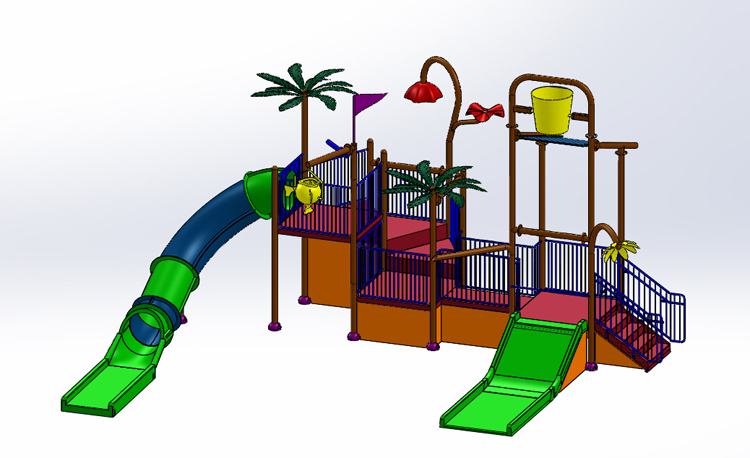 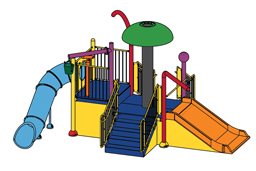 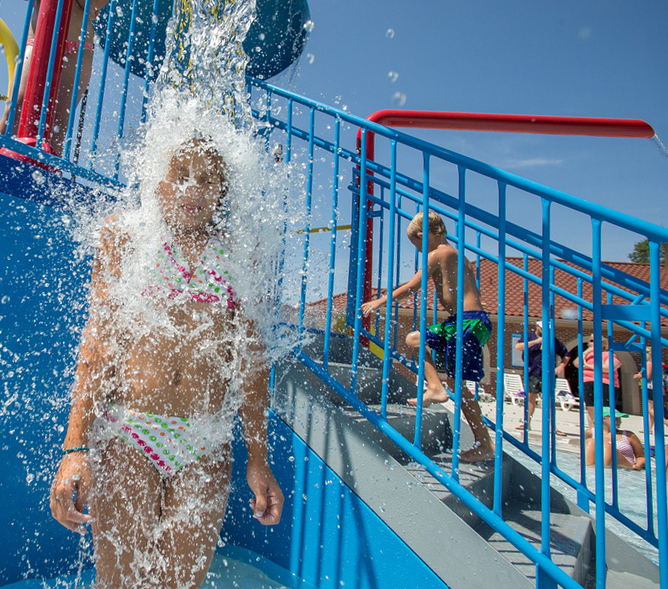 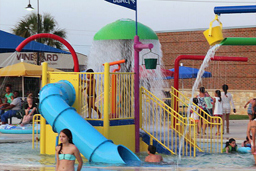 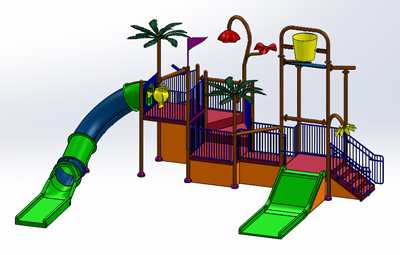 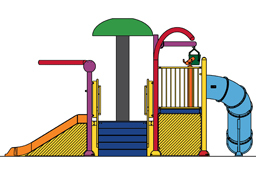 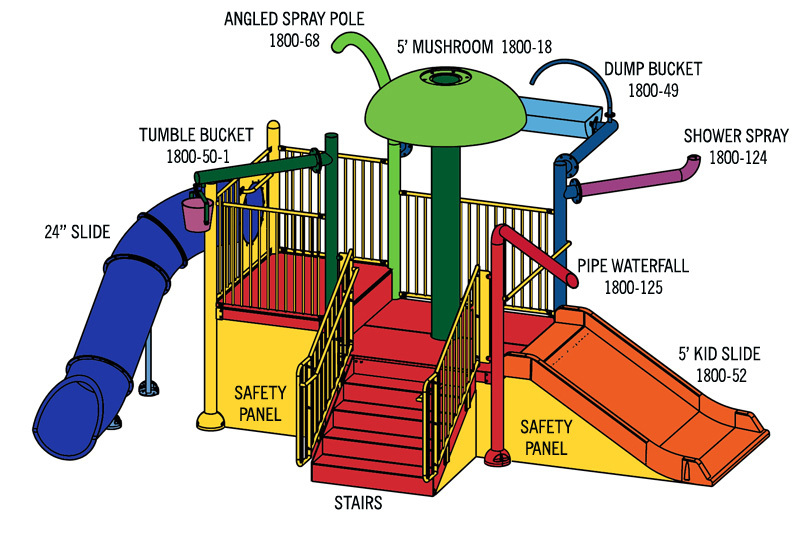 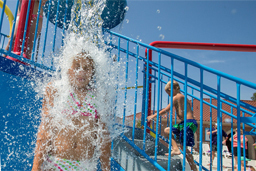 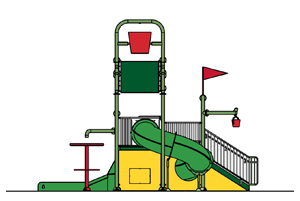 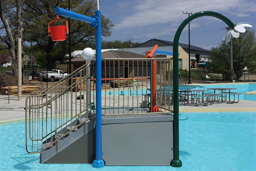 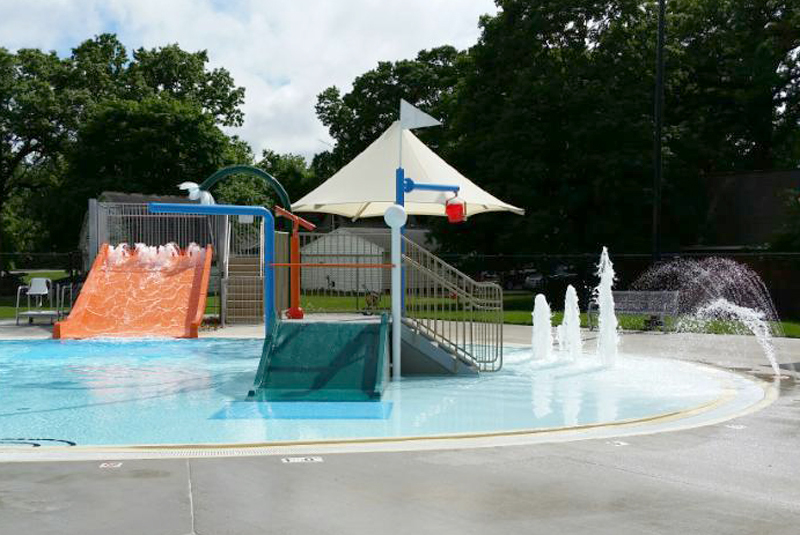 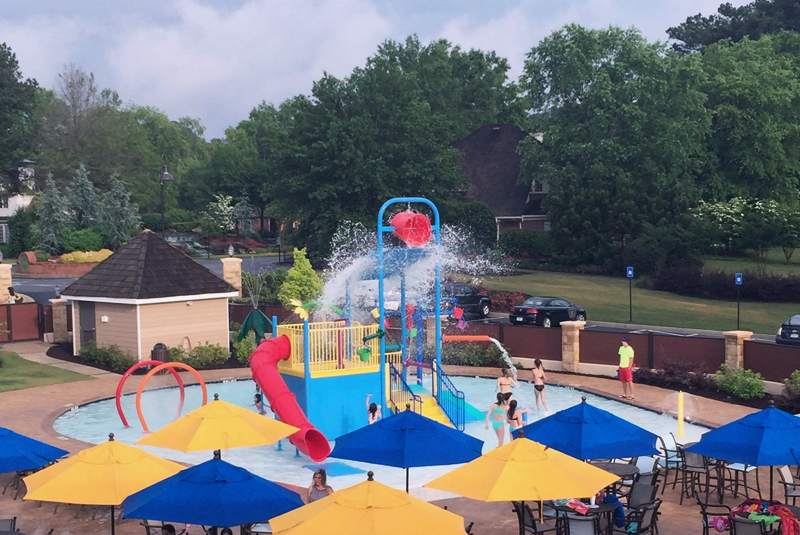 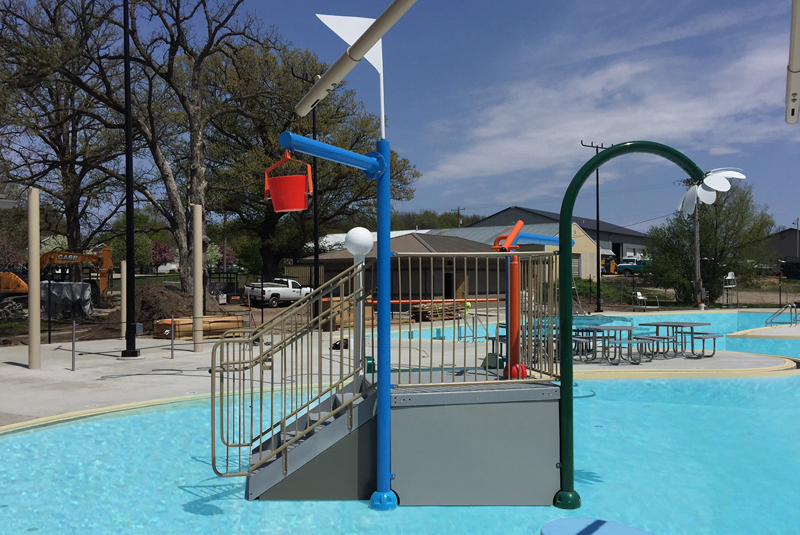 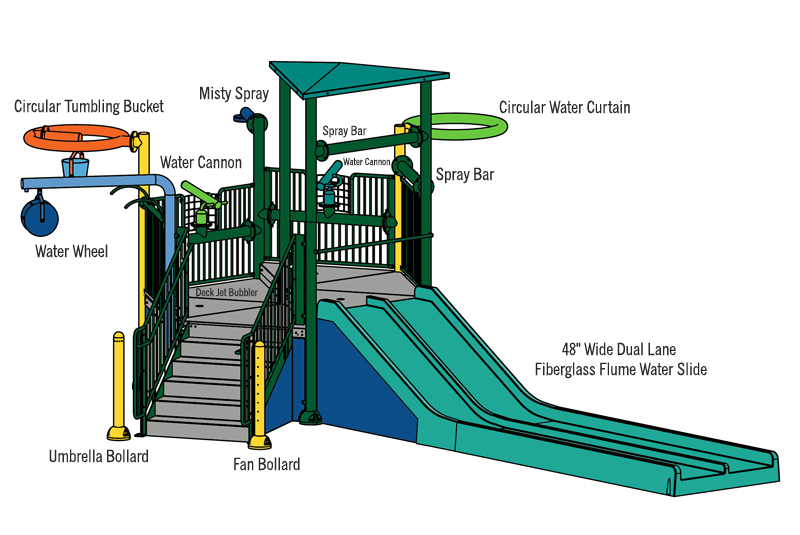 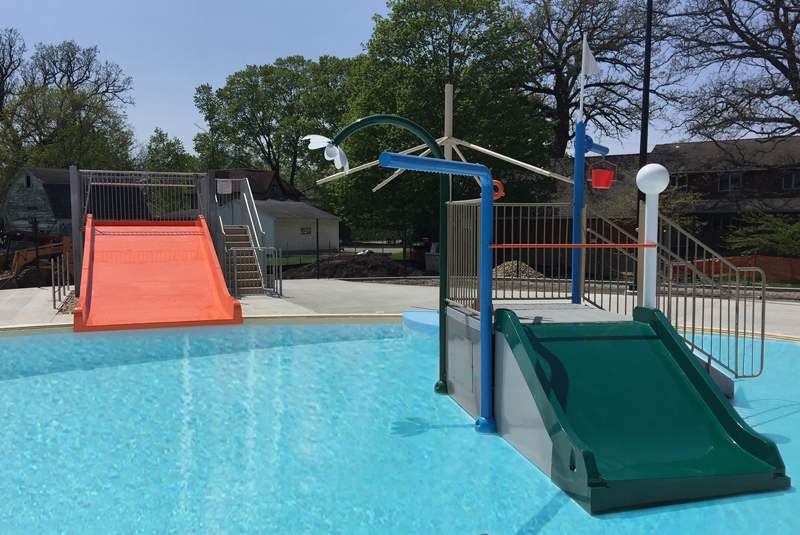 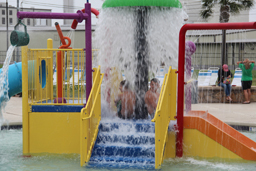 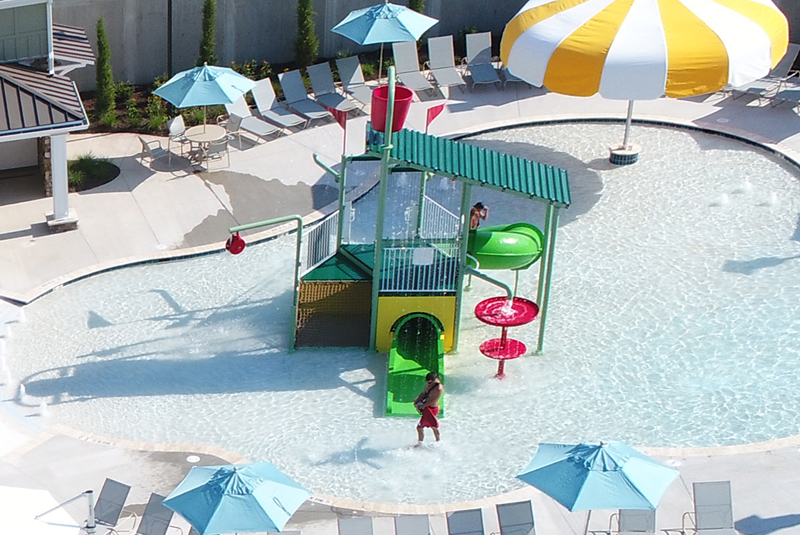 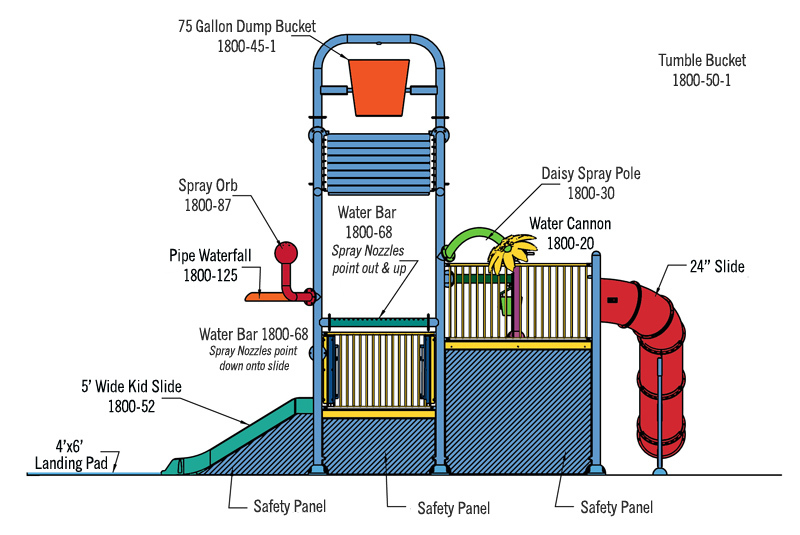 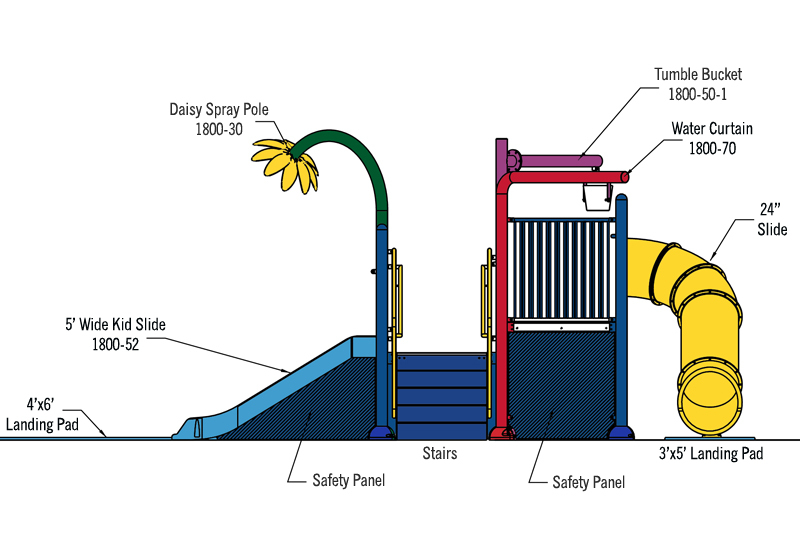 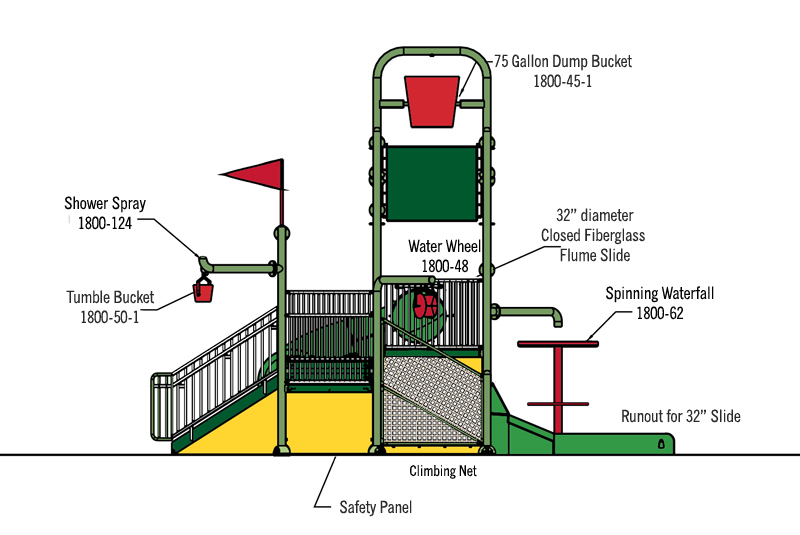 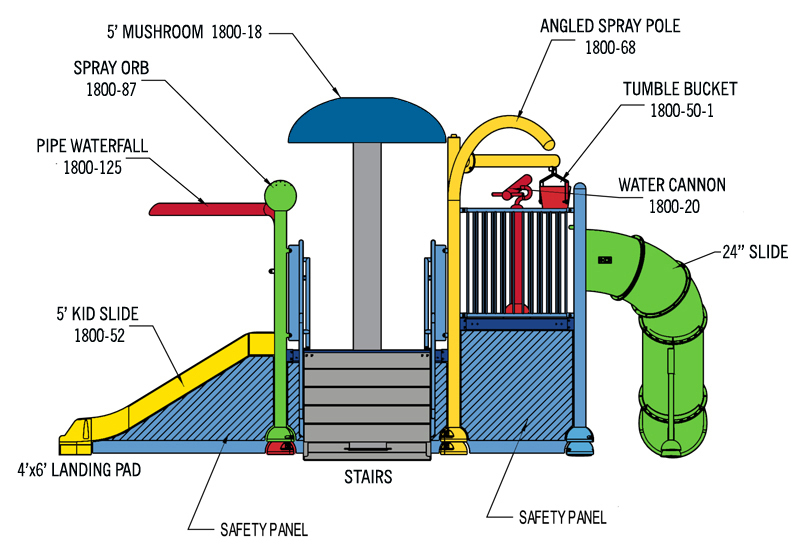 Mix and match features to create your individual Spray Park or Water Play Structure.